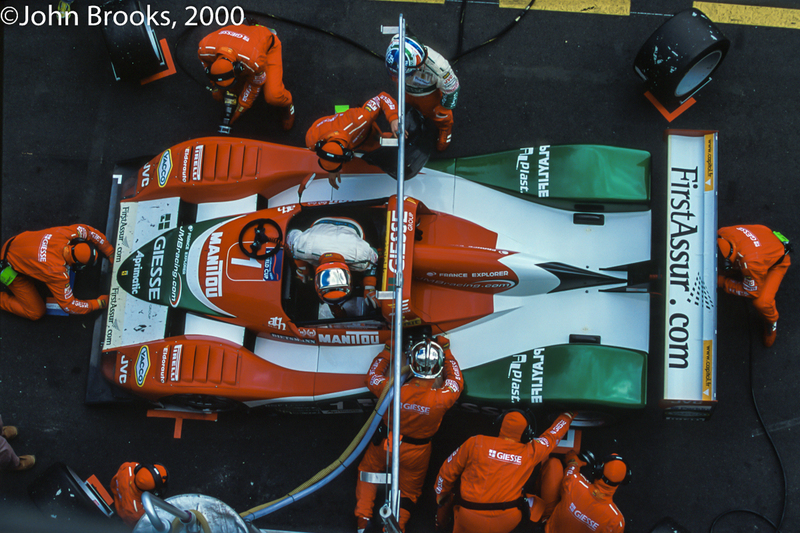 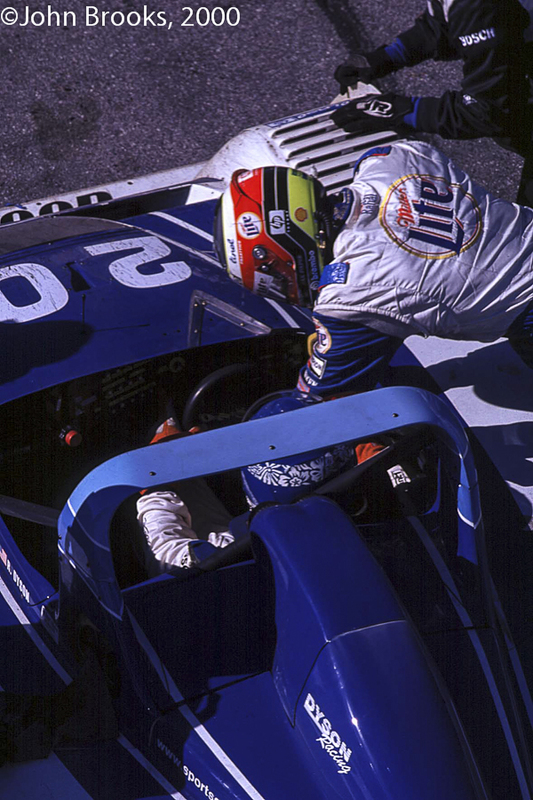 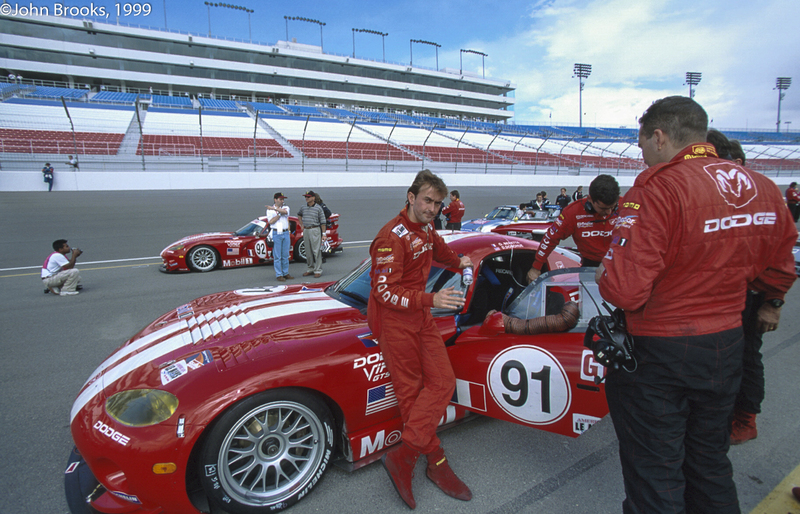 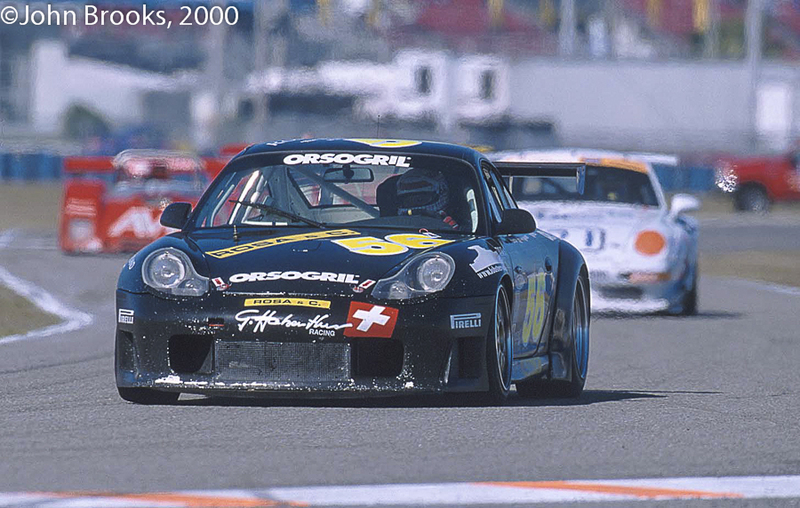 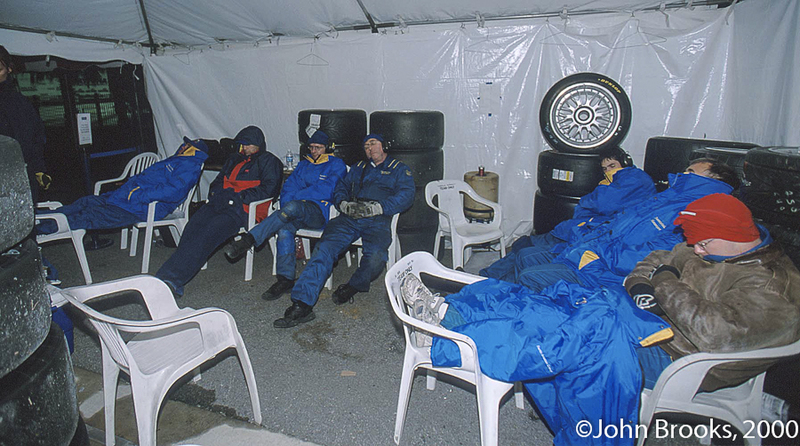 October 1st 2000 at Magny Cours, pit stop for the JMB Giesse Ferrari 333SP, David Terrien out and Christian Pescatori in, on their way to the fifth victory of the season. 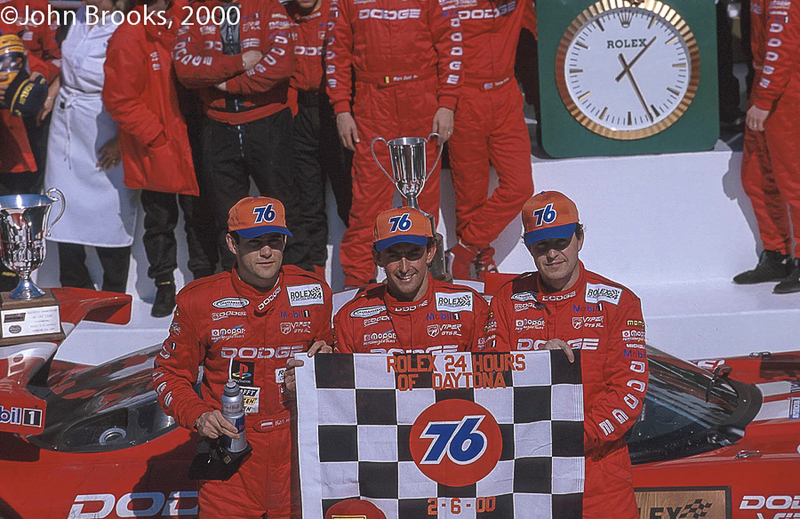 They took podiums whenever they competed and were Champions by some clear margin. 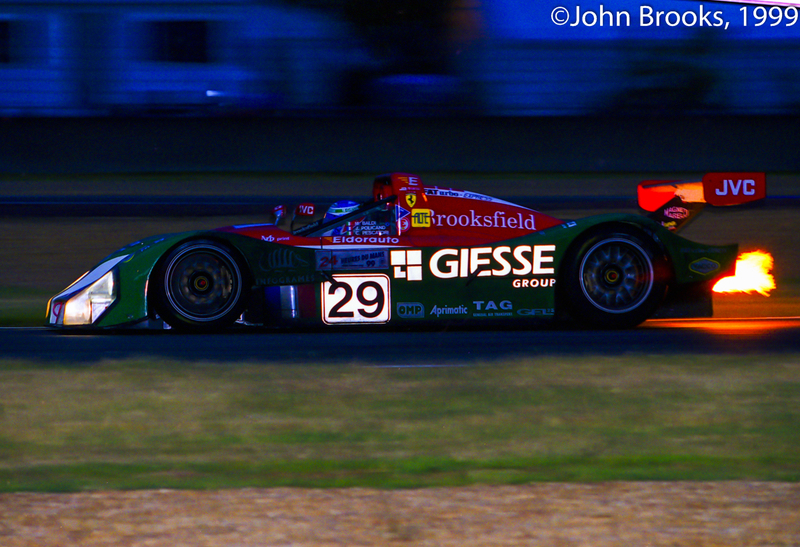 This entry was posted in Nostalgia, Notes from the Cellar, The Blink of An Eye and tagged Christian Pescatori, David Terrien, Ferrari 333SP, JMB Racing, Magny Cours, SRWC on November 5, 2013 by John Brooks. 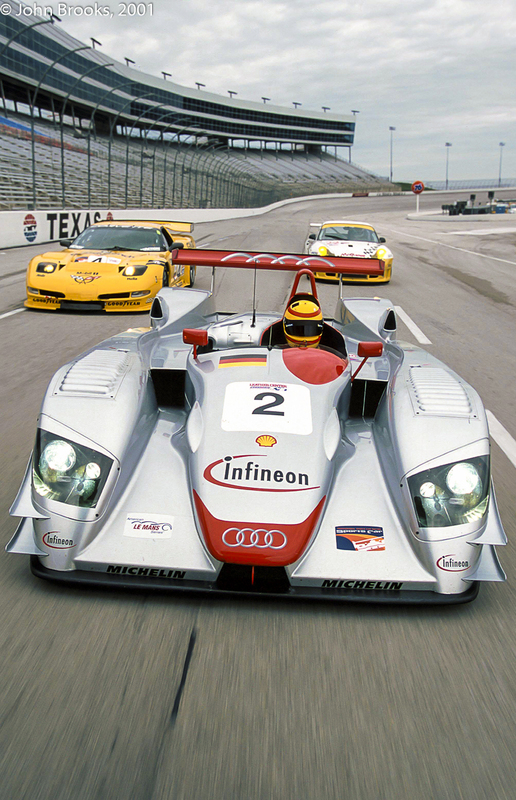 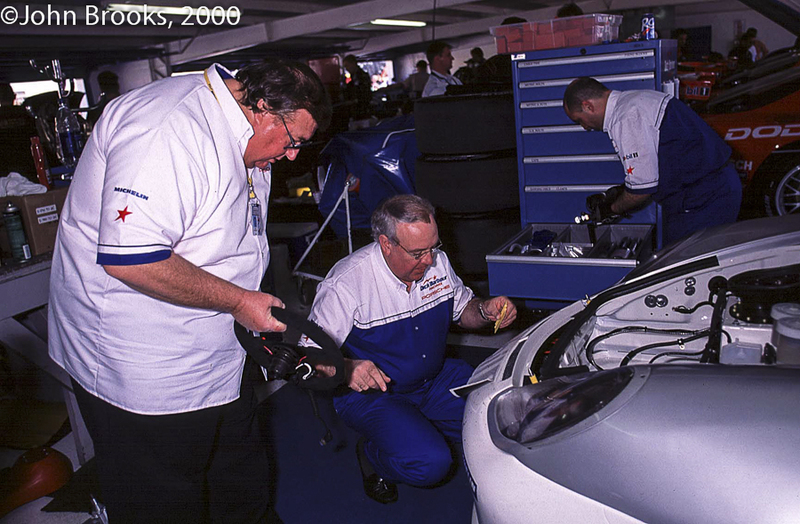 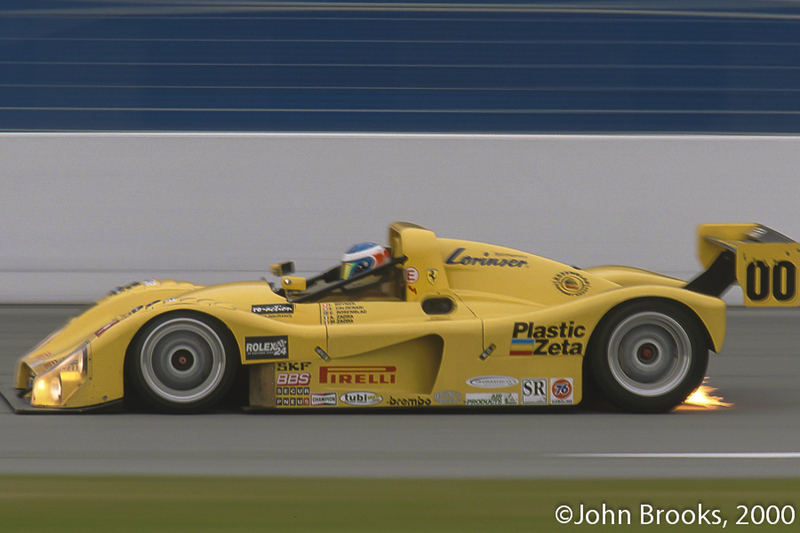 1999 and the last appearance of the Ferrari 333SP at La Sarthe………..by now this customer programme dating back to 1993 was overwhelmed by the big budget factory efforts from Audi, BMW, Mercedes-Benz, Nissan and Toyota. 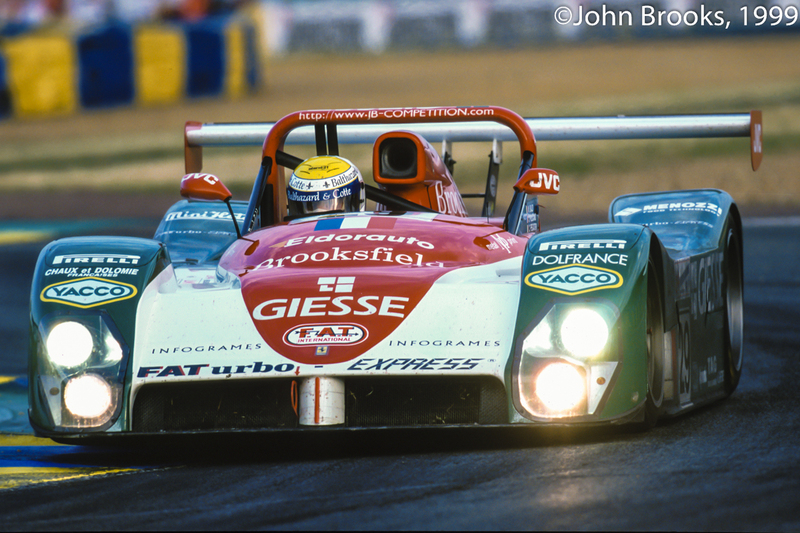 The JB Racing 333SP was a brand new chassis and was modified aerodynamically for Le Mans with both the engine cover and rear wing getting a make over. 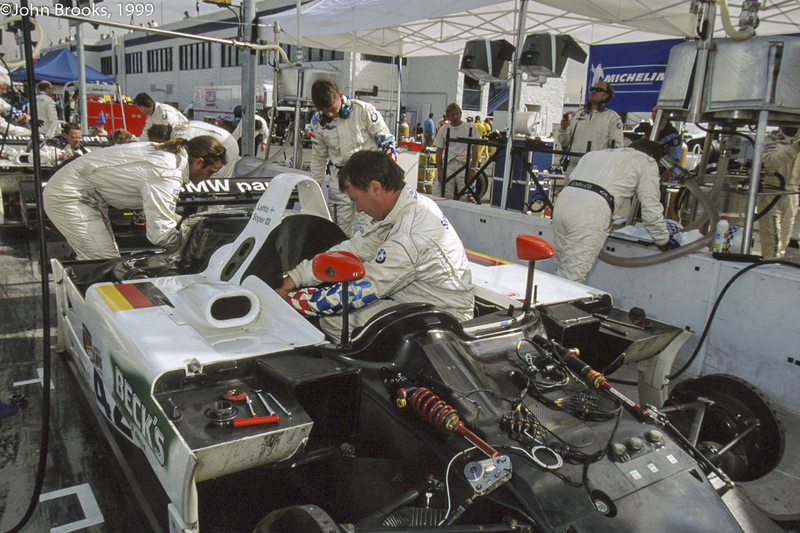 A new endurance gearbox was fitted with modifications to the pinions, strengthened shafts and selector forks. 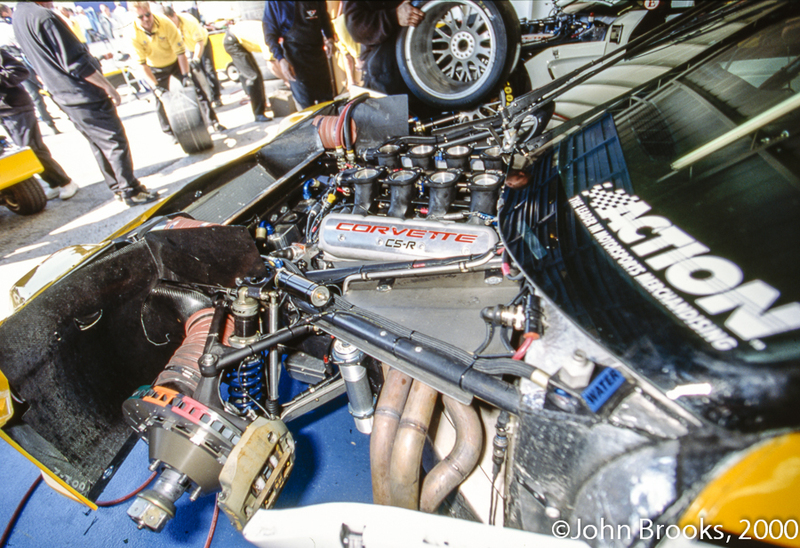 The engine also received attention to make it more durable. 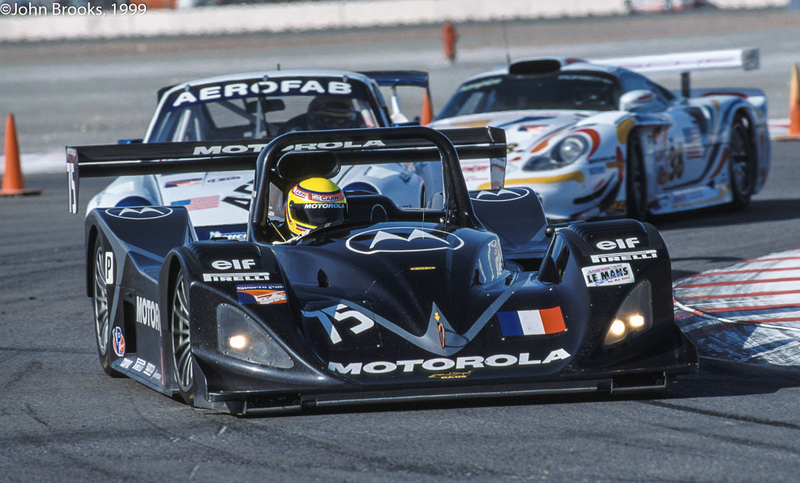 It was driven by former Le Mans winner, Mauro Baldi, teamed up with Christian Pescatori and Jerôme Policand. 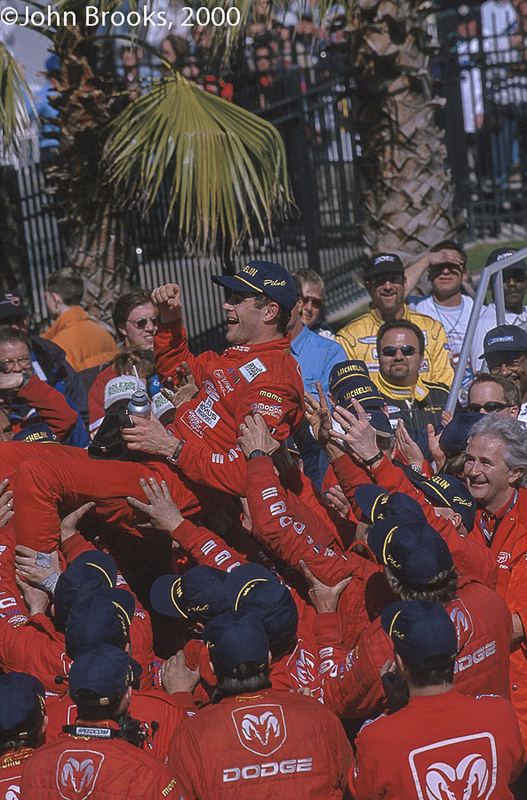 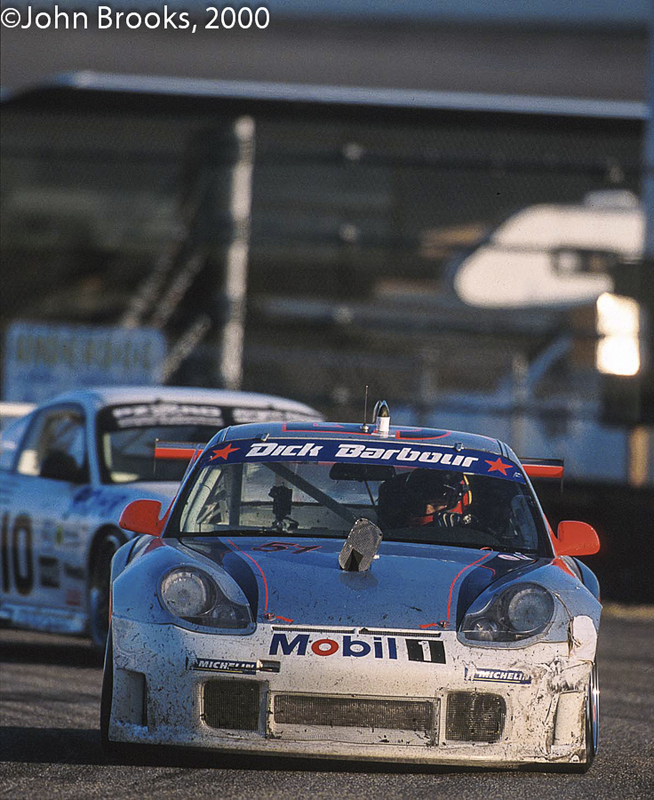 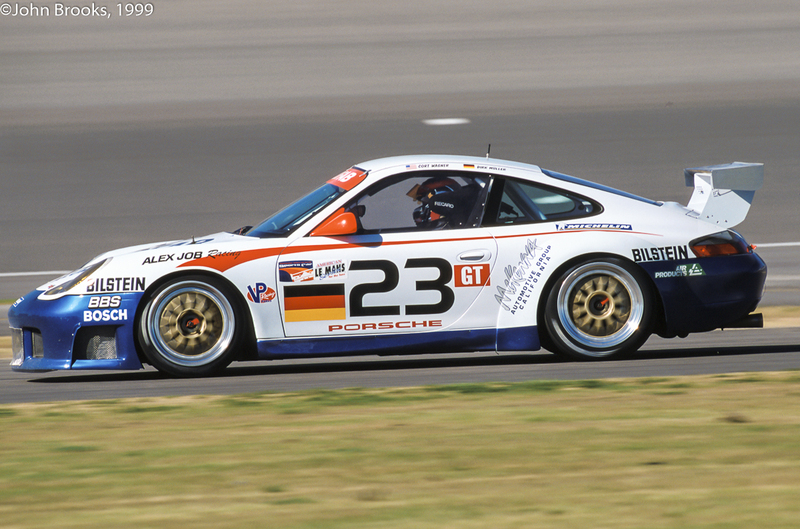 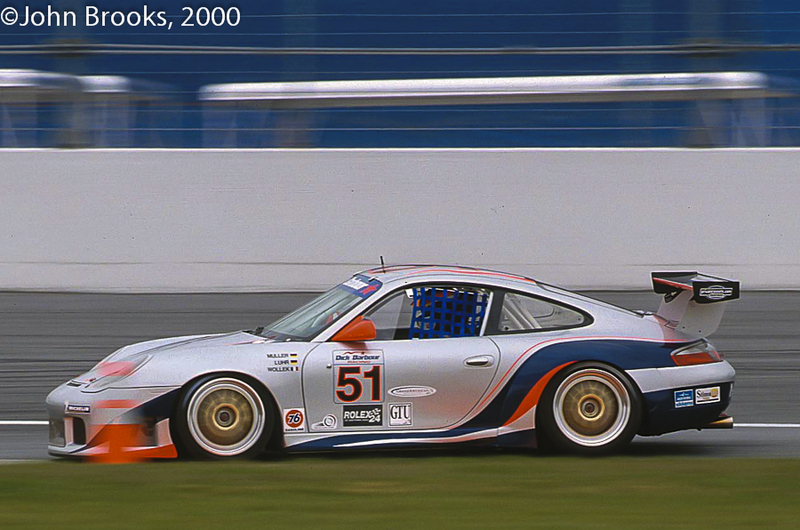 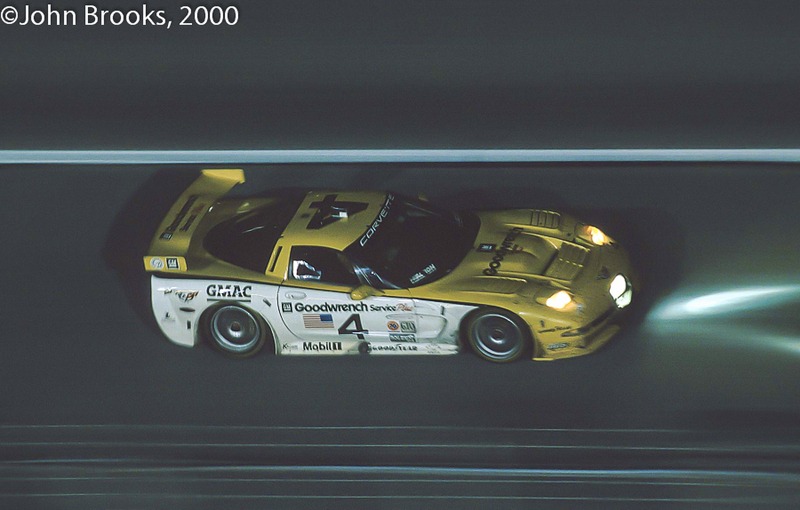 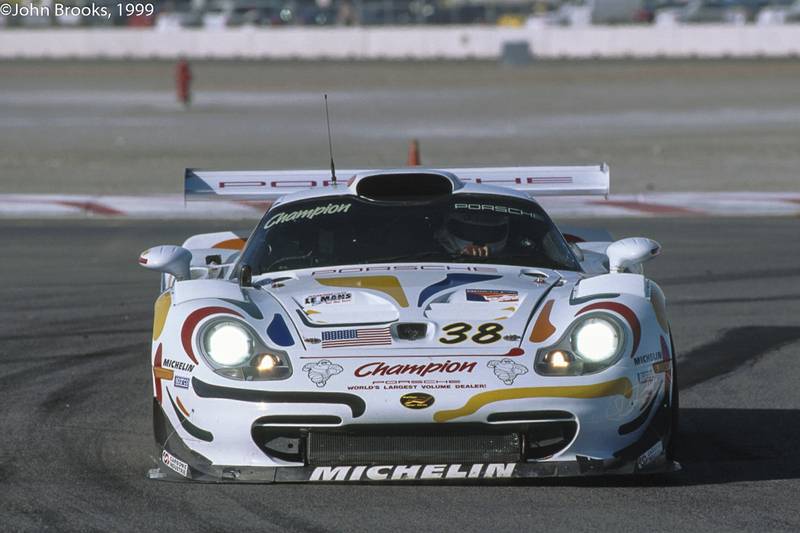 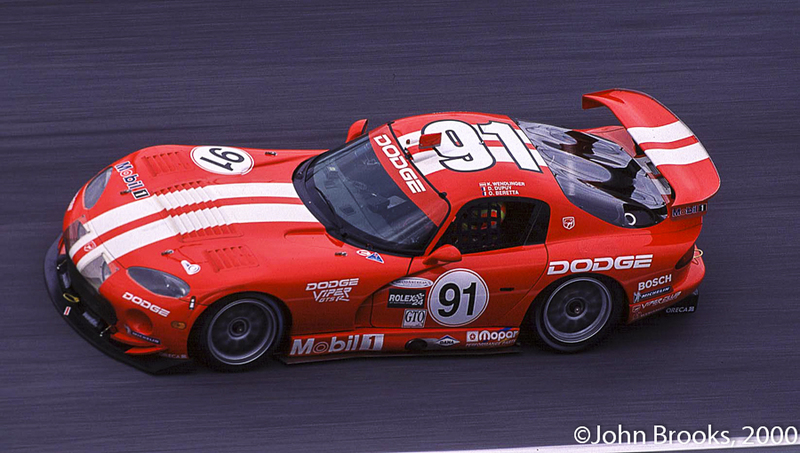 Young Jerôme qualified the car in a 3:38:468, which was roughly the same time that the 1998 winner, Allan McNish had qualified his Porsche 911 GT1-98 some 12 months before. 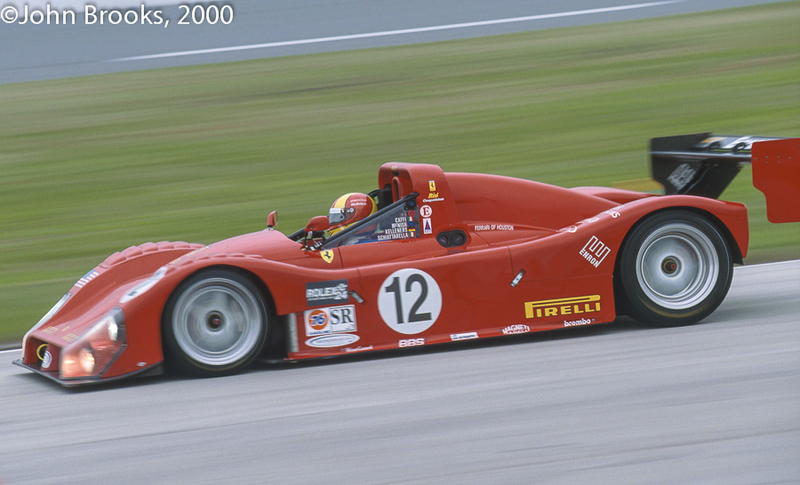 It was a gain of around six seconds on the previous Ferrari best and proved the worth of the modifications. 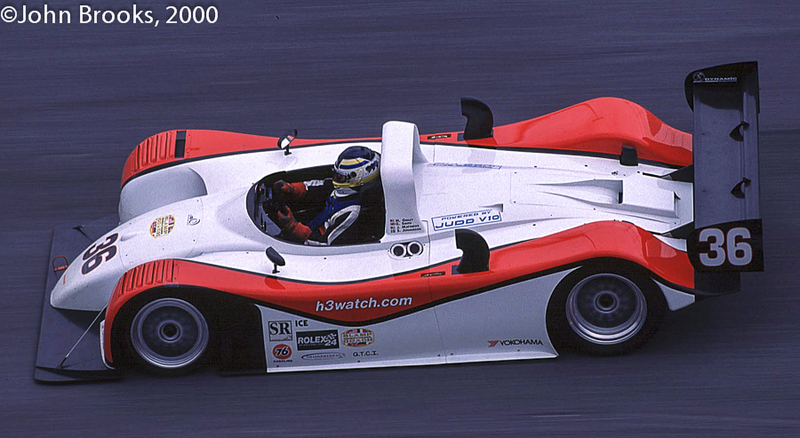 However it was still nearly ten seconds off Martin Brundle’s pole time in his Toyota GT-ONE. 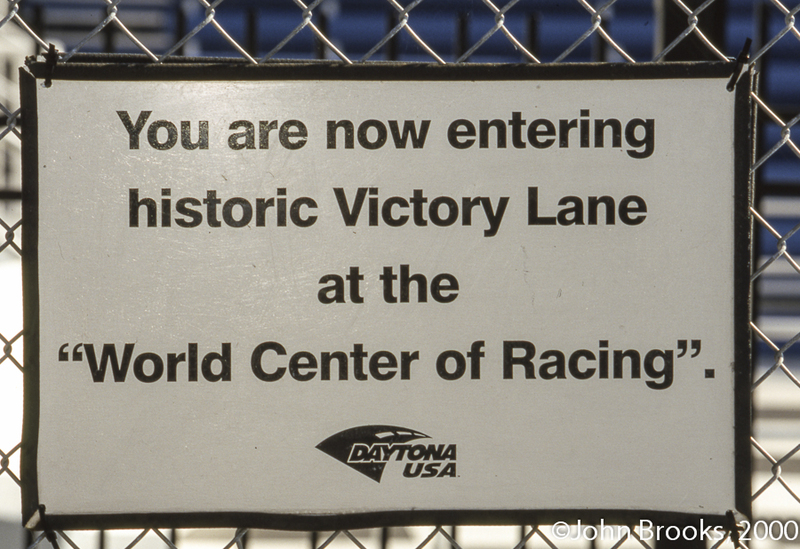 The least said about the race the better. 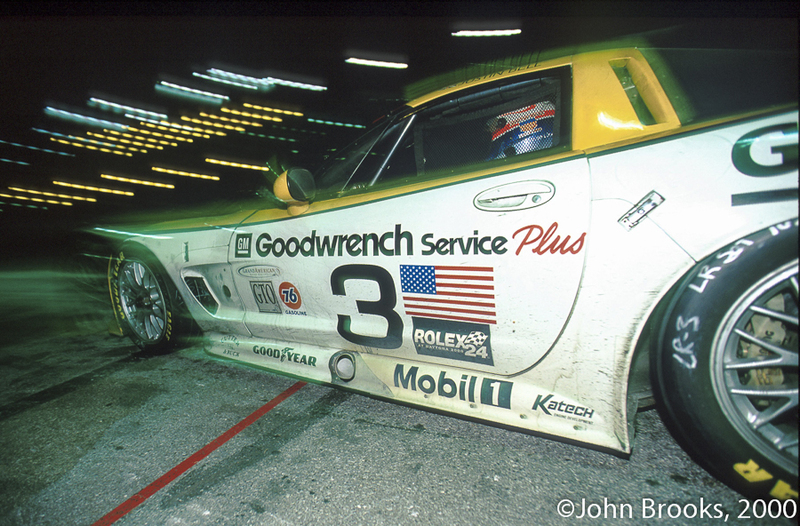 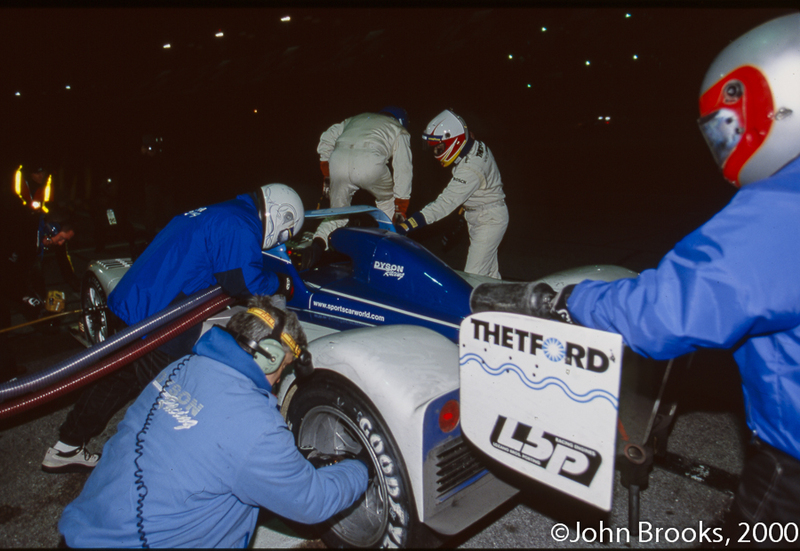 The endurance gearbox was anything but, lasting barely 40 minutes before Baldi had to pit for a replacement. 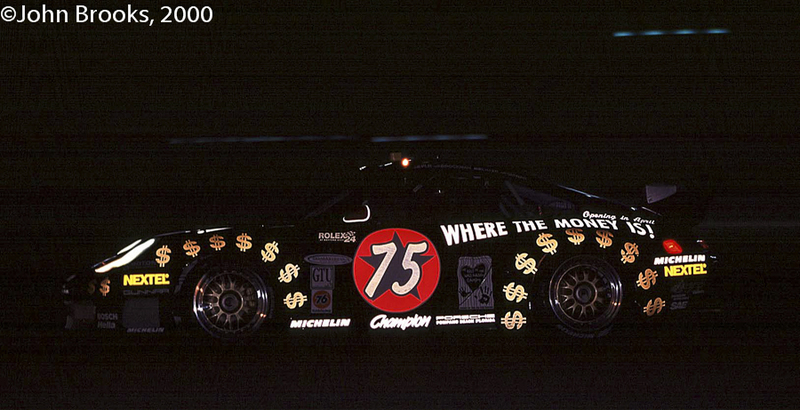 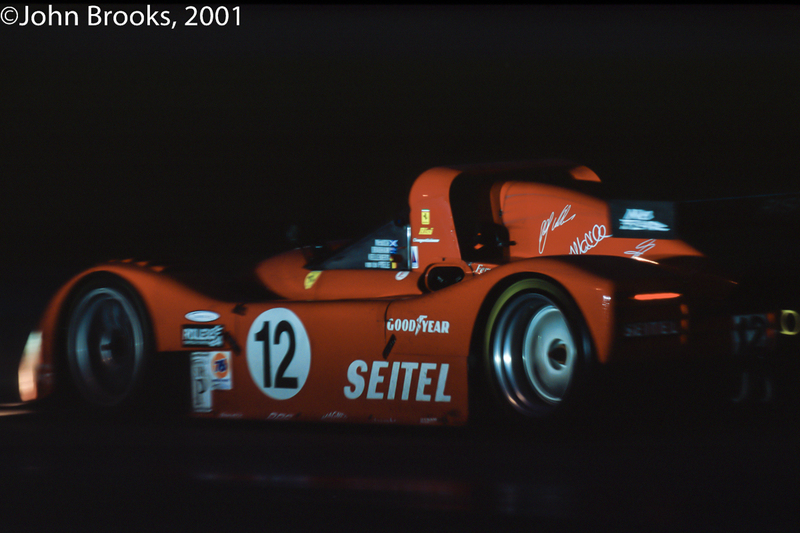 Engine failure just after dark brought the curtain down on the story of the Ferrari 333SP at Le Mans. 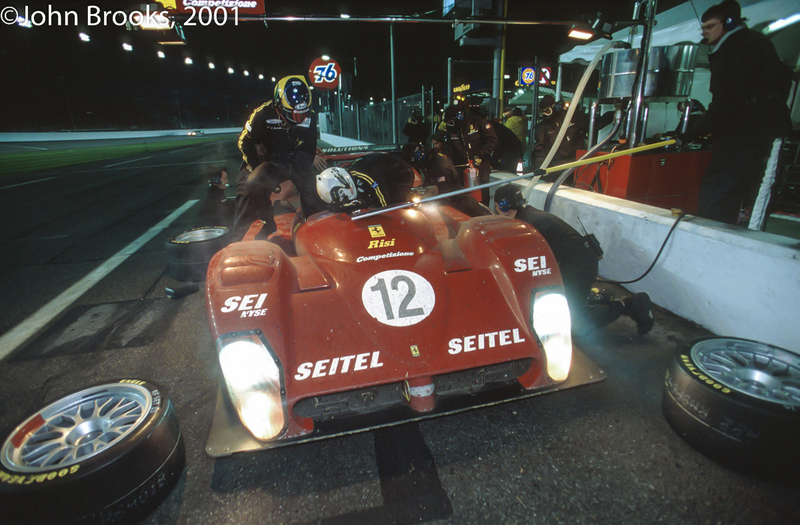 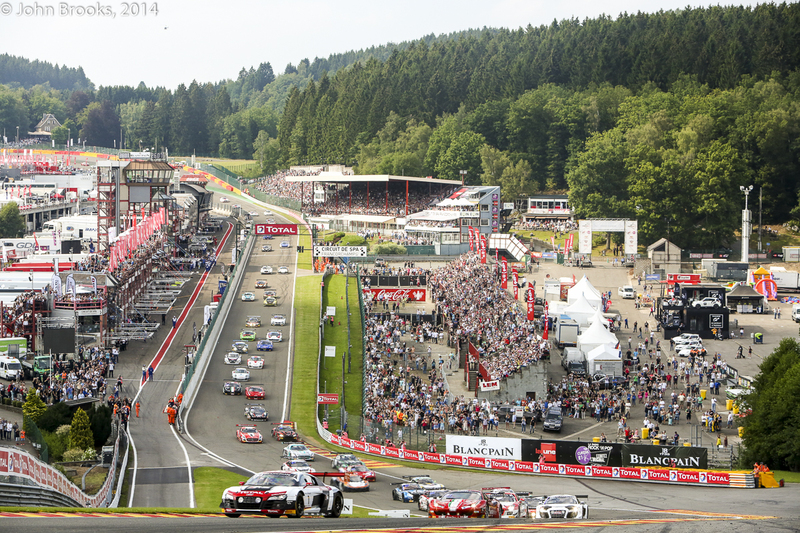 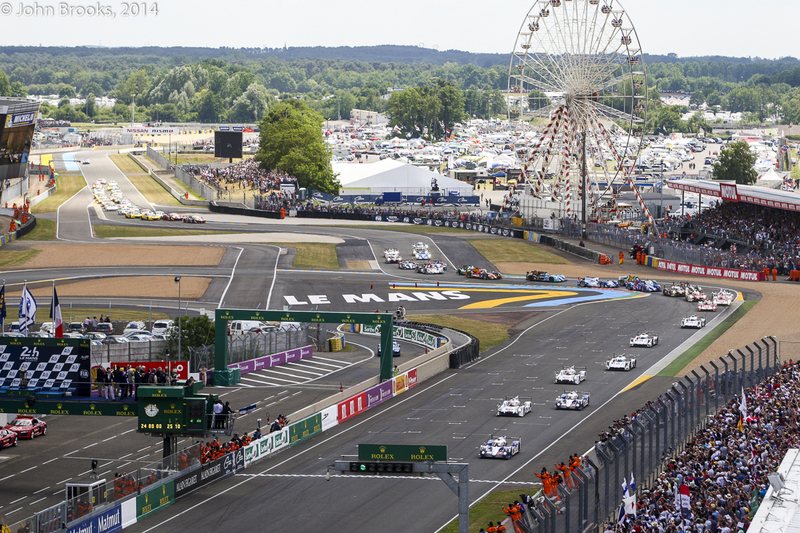 This entry was posted in Nostalgia, Notes from the Cellar, The Blink of An Eye and tagged Christian Pescatori, Ferrari 333SP, JB Racing, Jerôme Policand, Le Mans 24 Hours, Mauro Baldi on November 1, 2013 by John Brooks. 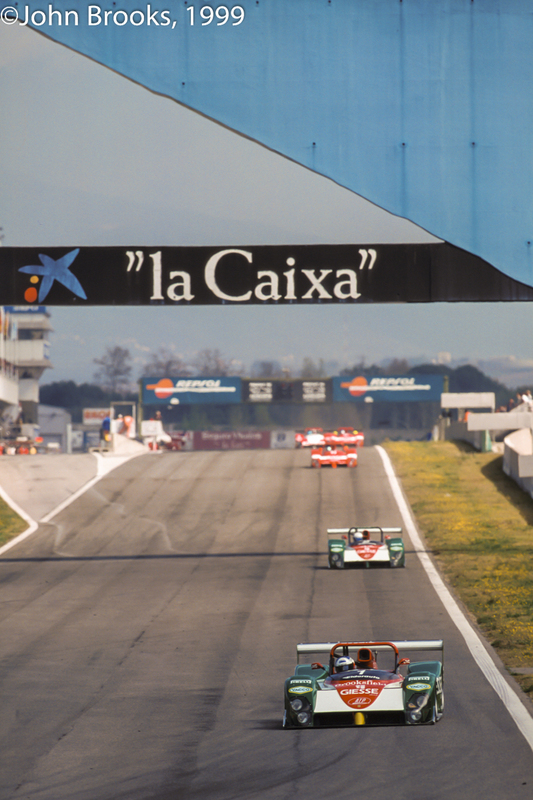 Lap one of the Sports Racing World Cup in 1999 has just been completed and a sea of metaphorical red heads towards Elf (the French Petroleum company not the Nordic pixies). 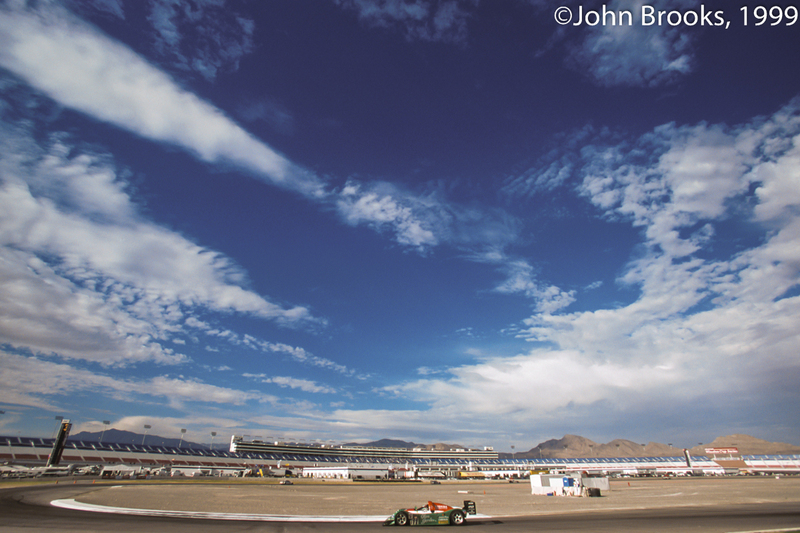 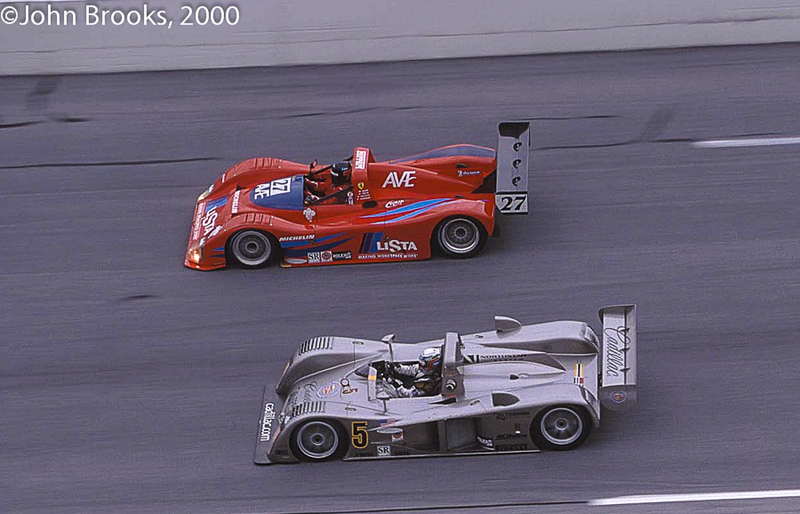 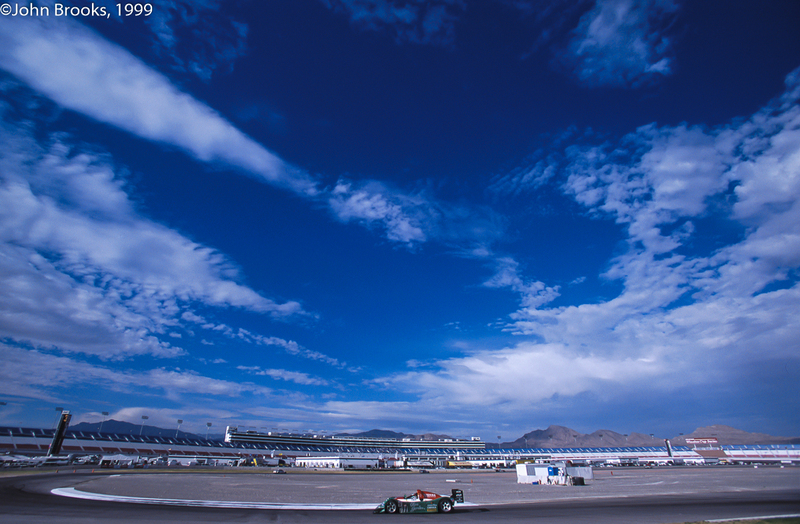 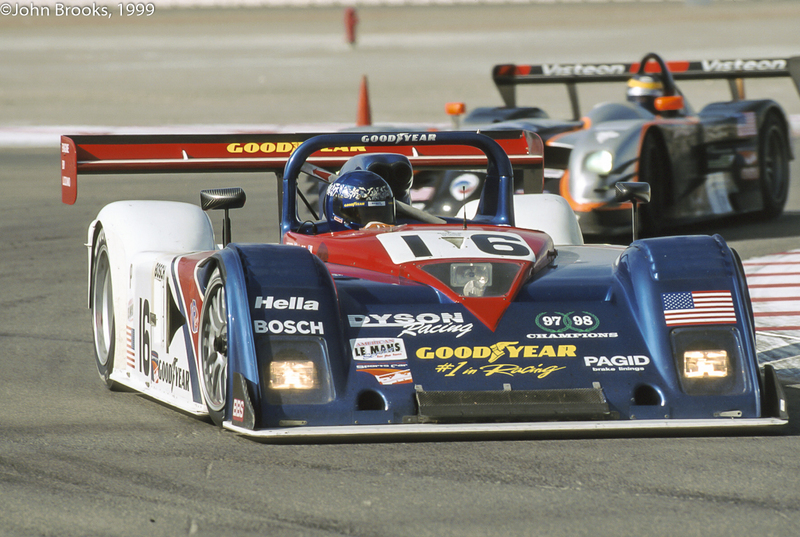 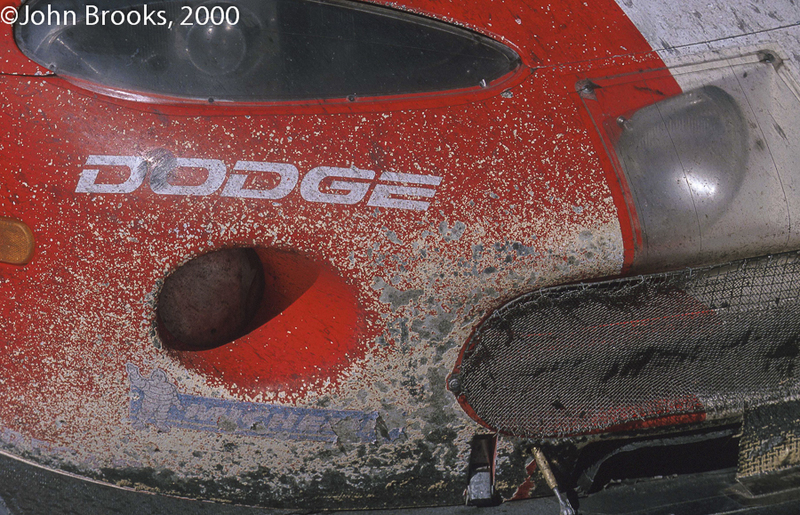 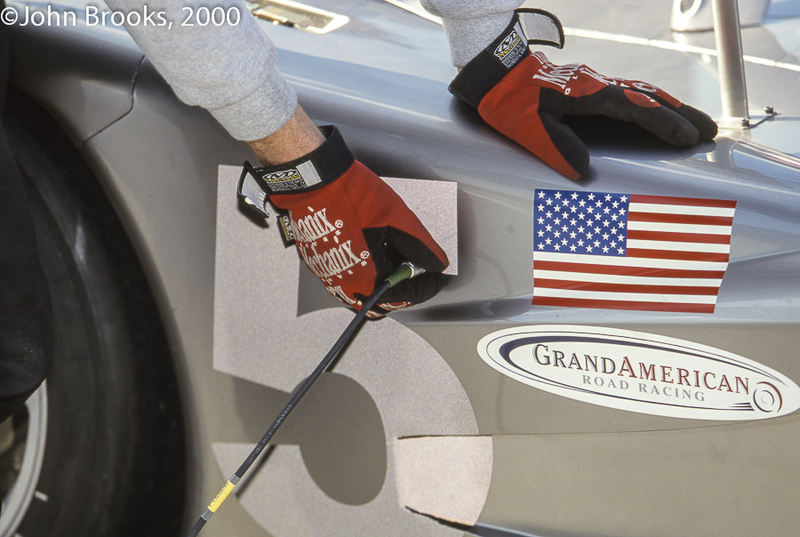 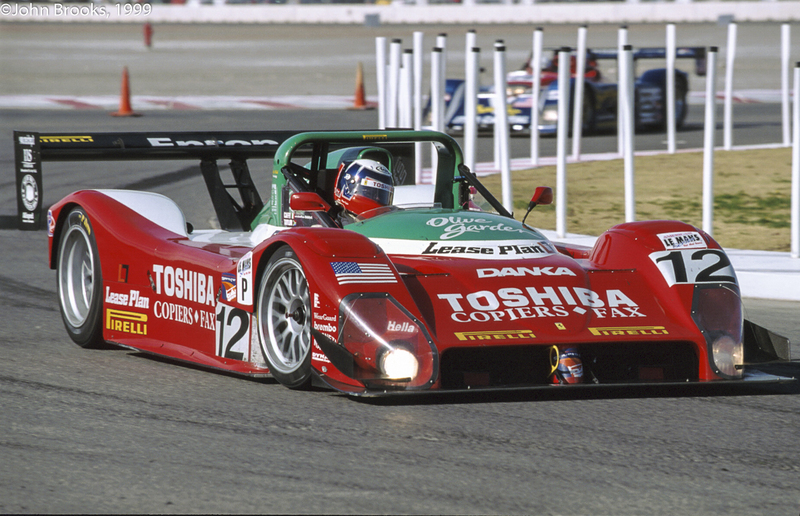 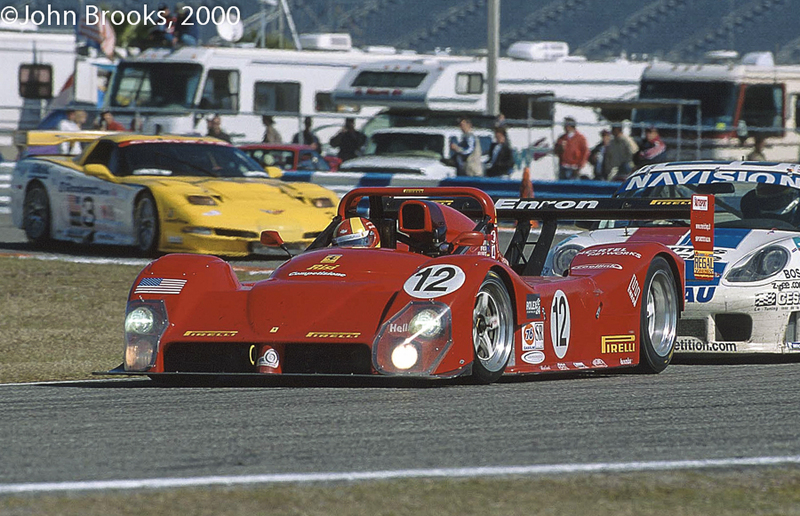 In 1999 the Ferrari 333SP was the weapon of choice in the SRWC until DAMS got their Lola fired up. 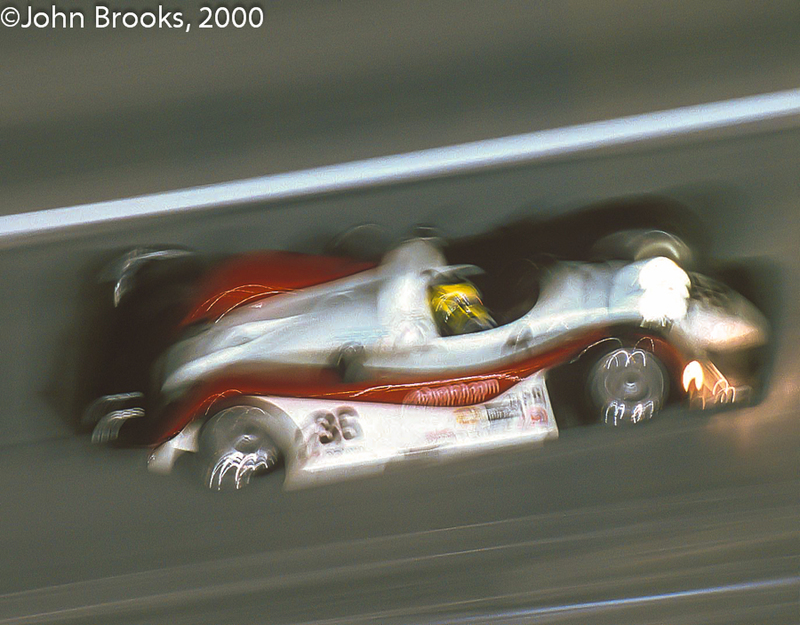 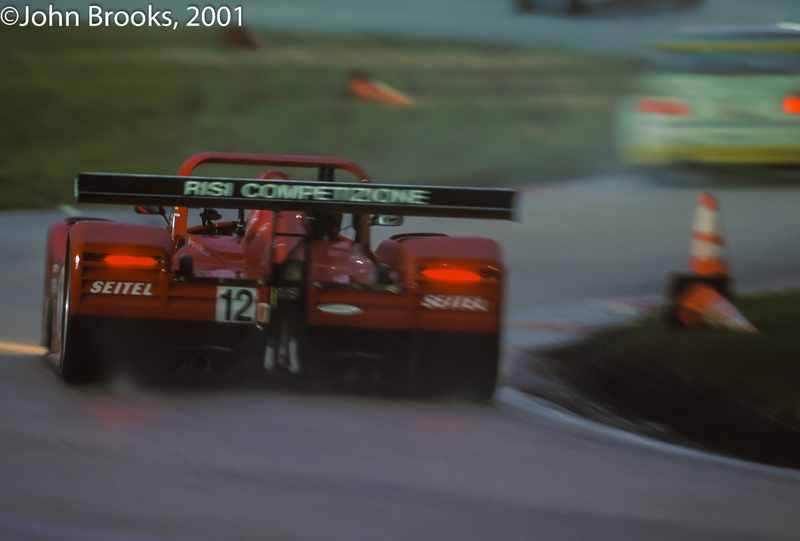 This entry was posted in Nostalgia, Notes from the Cellar, The Blink of An Eye and tagged Catalunya, Ferrari 333SP, Sport Racing World Cup, SRWC on October 31, 2013 by John Brooks. 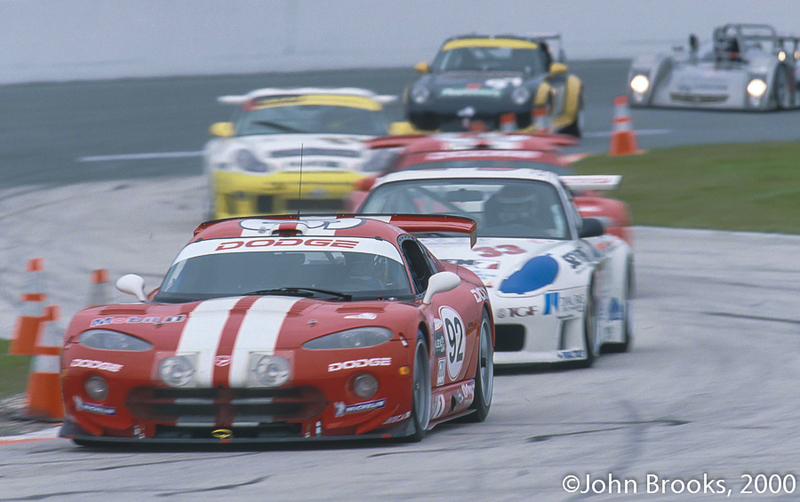 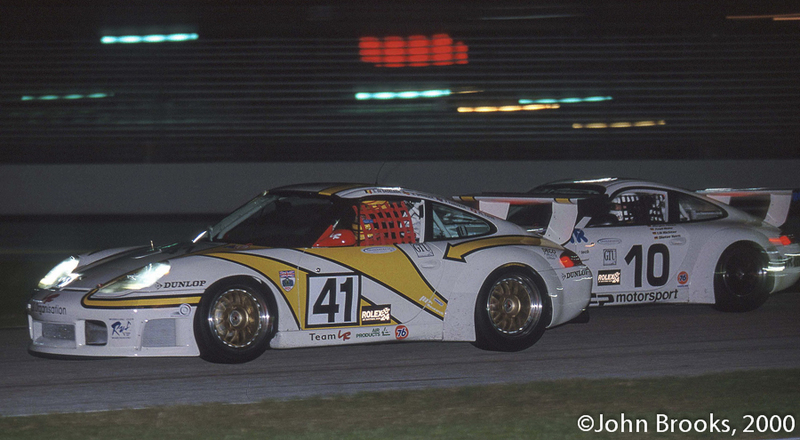 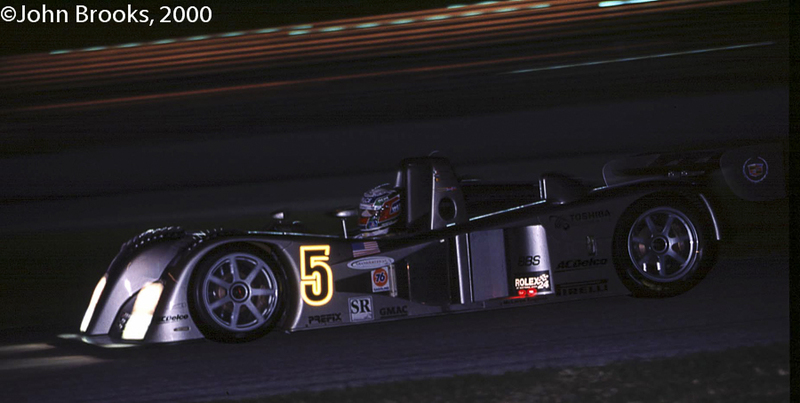 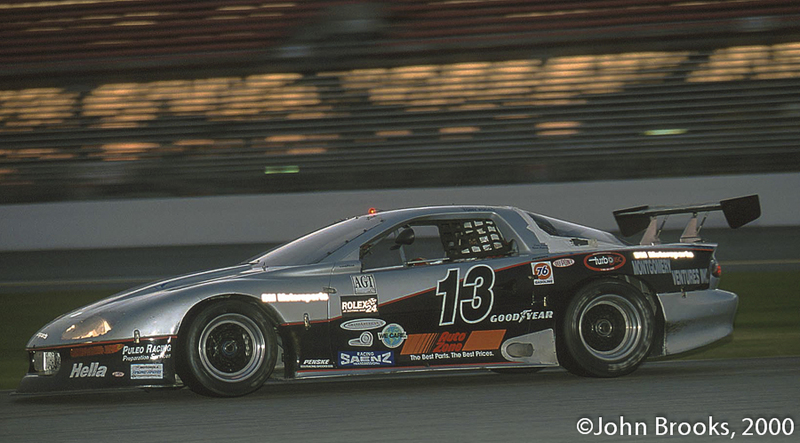 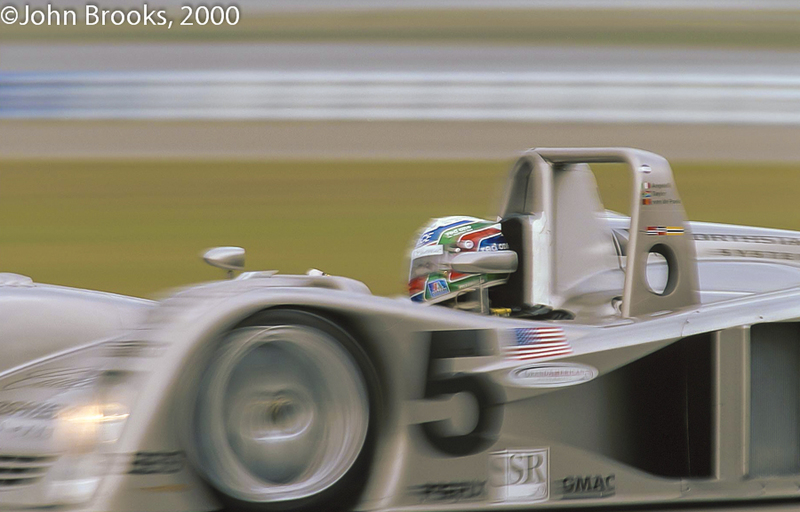 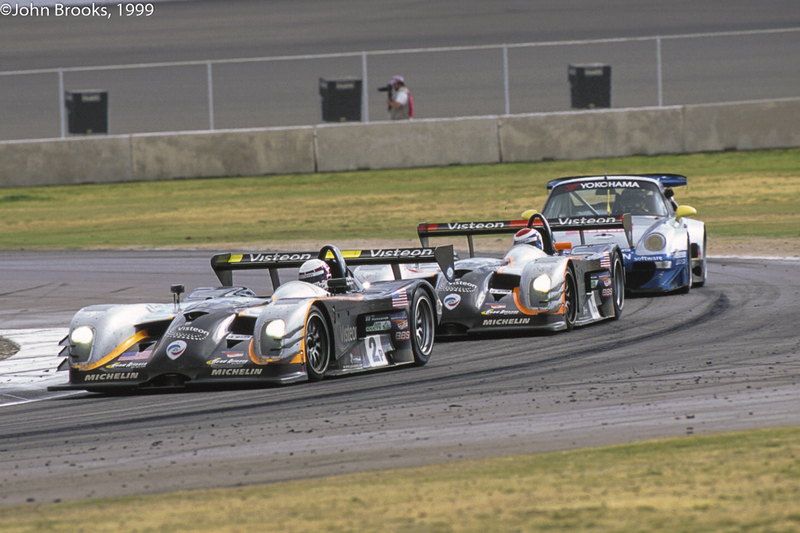 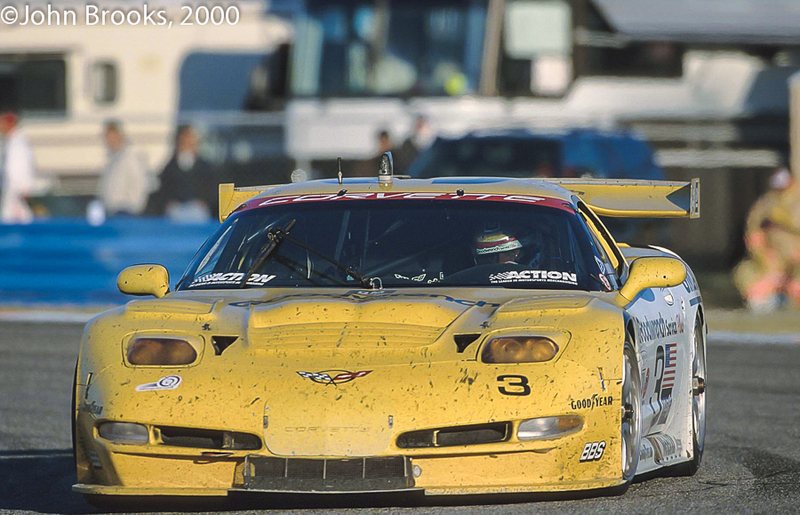 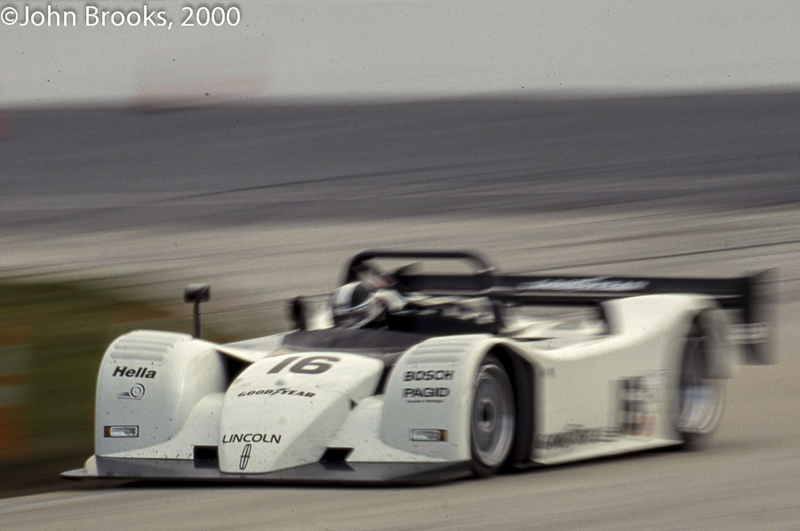 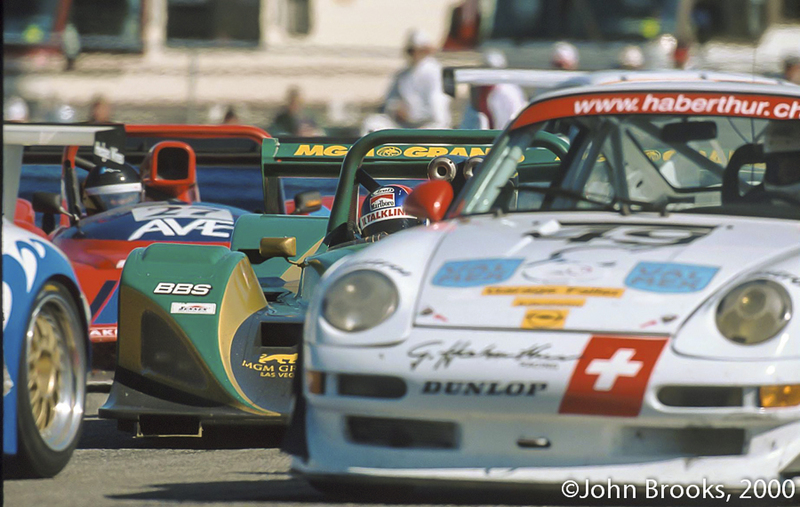 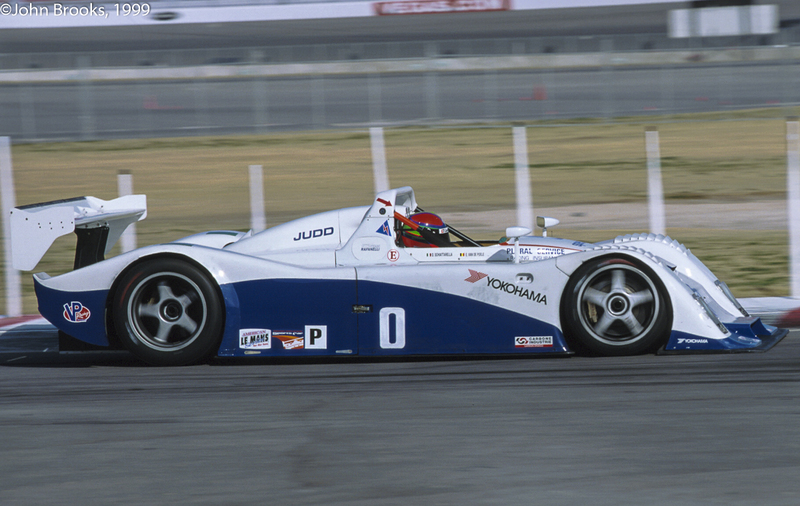 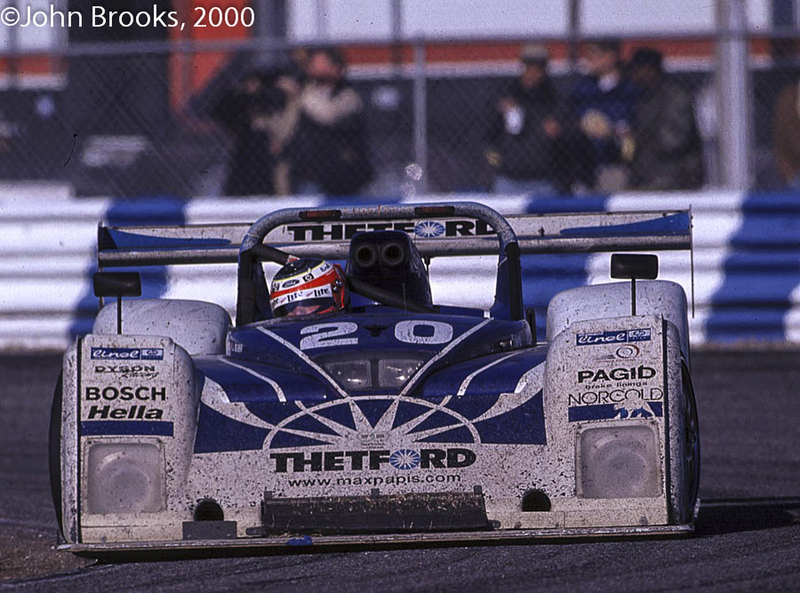 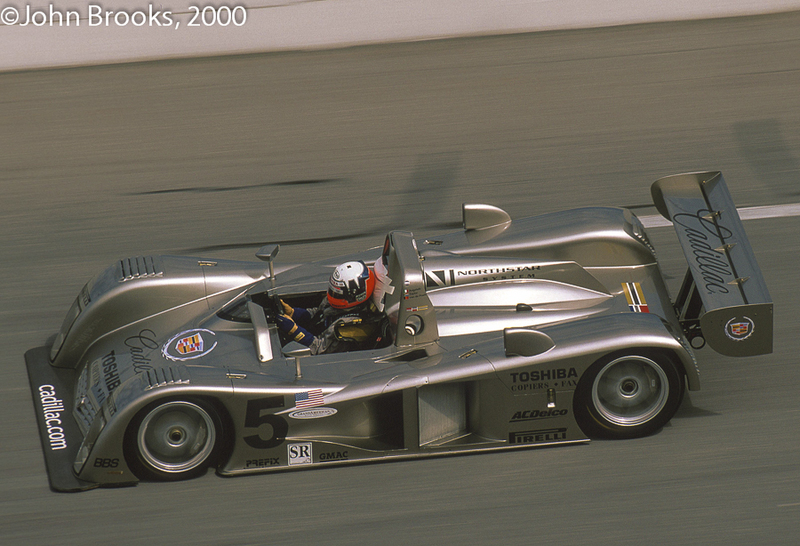 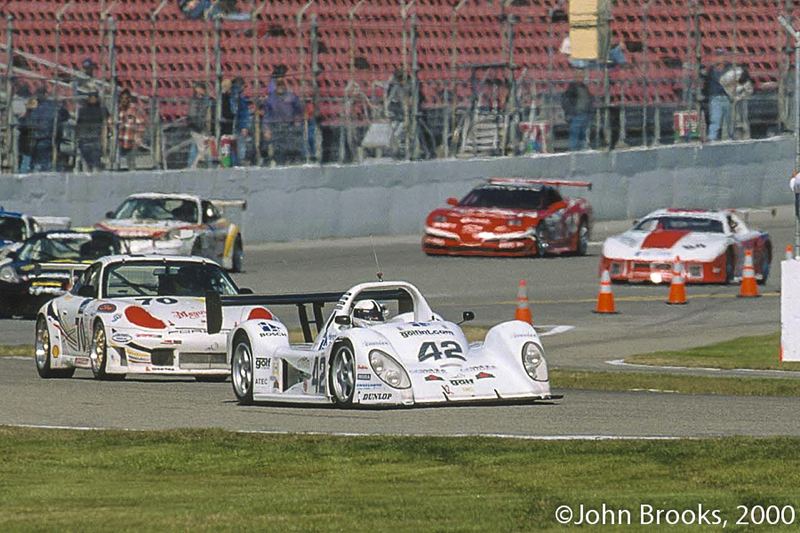 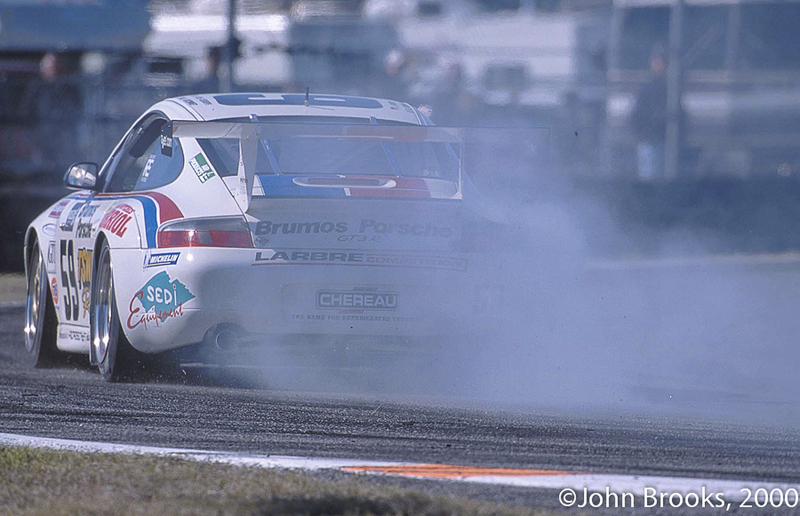 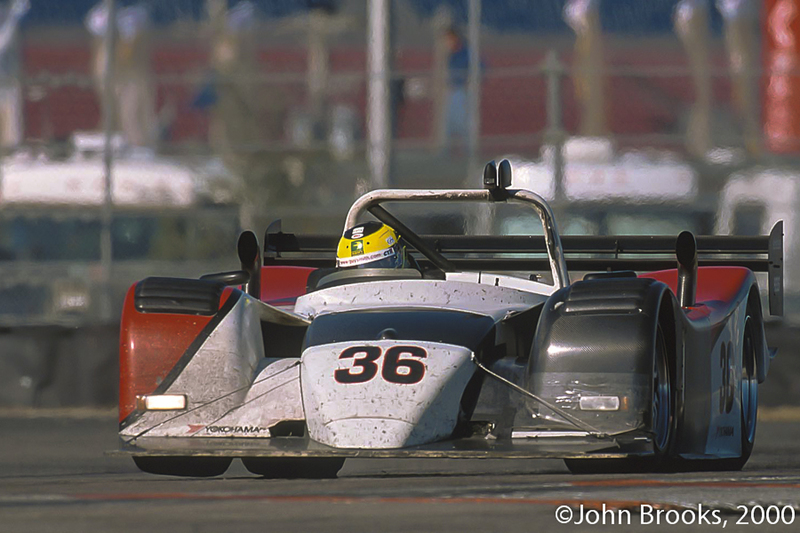 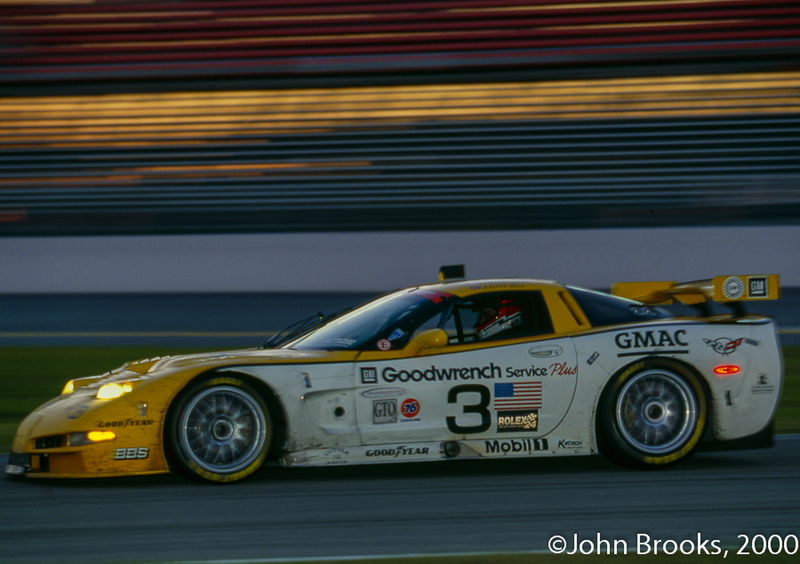 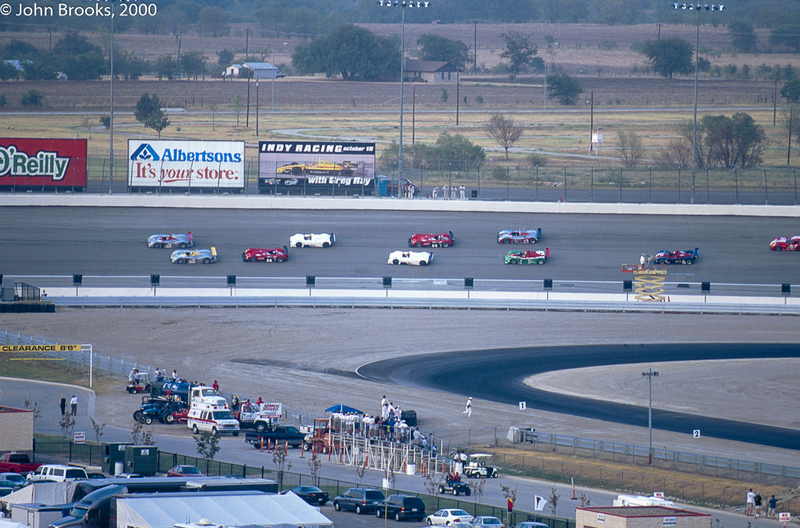 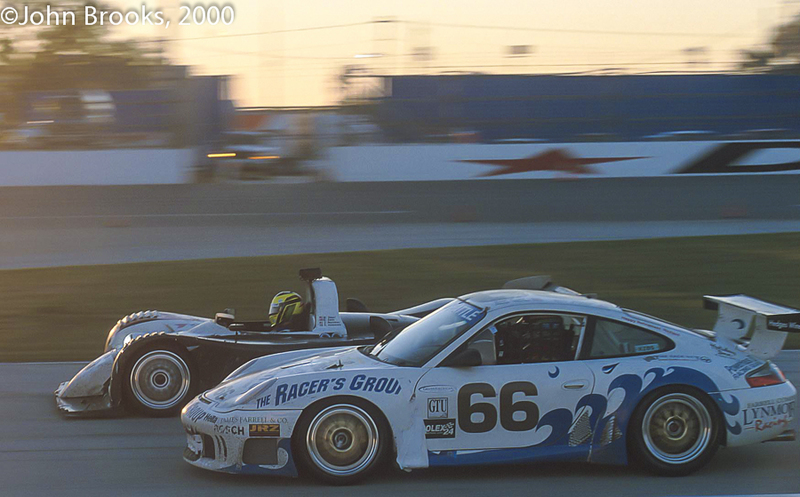 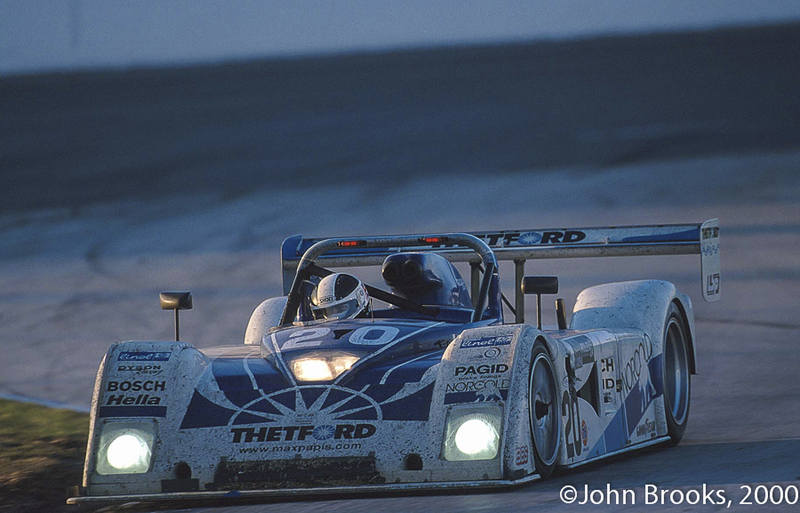 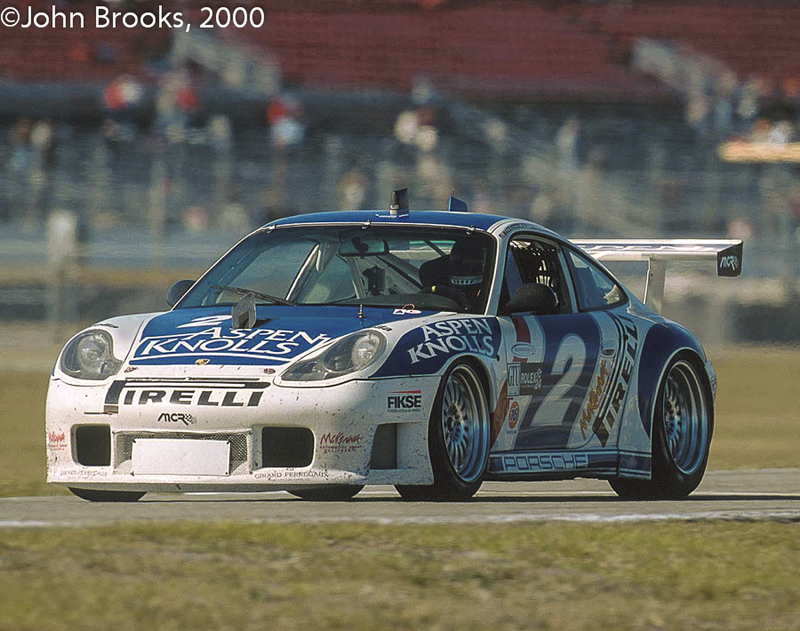 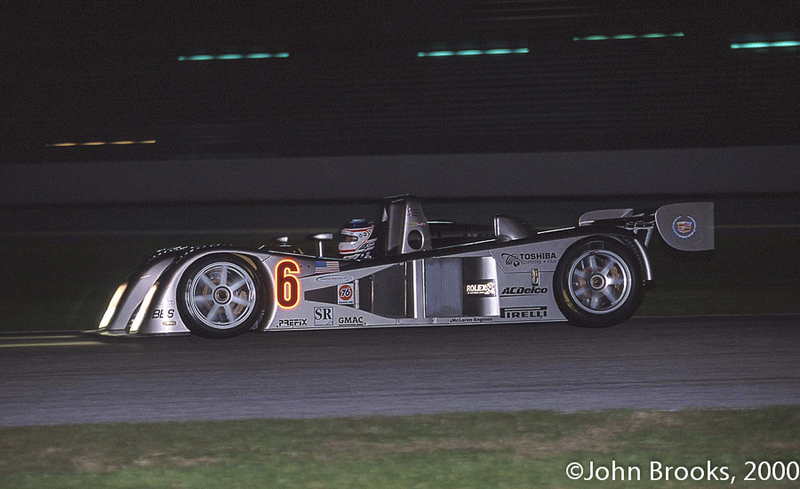 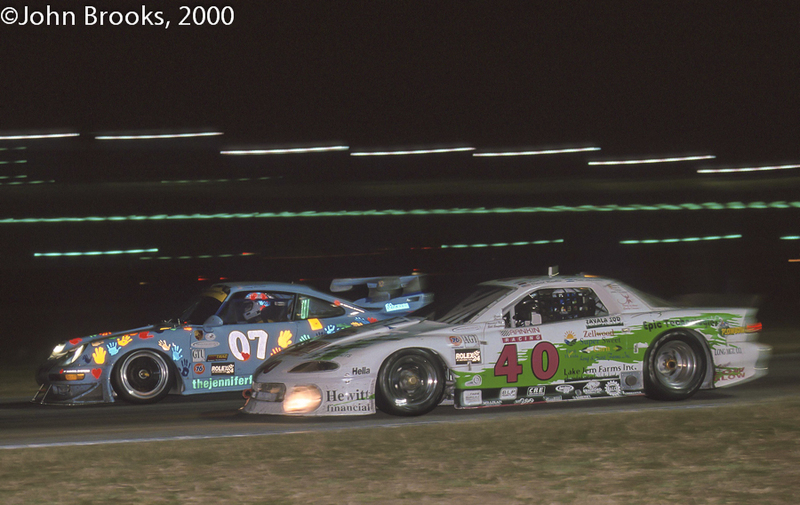 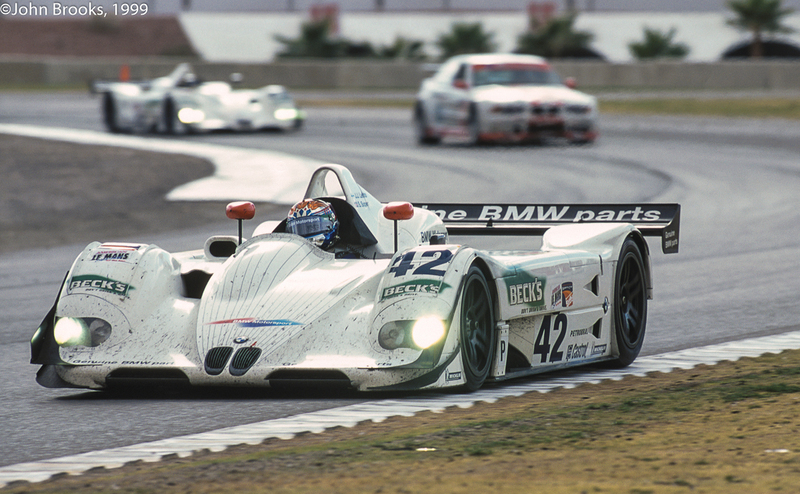 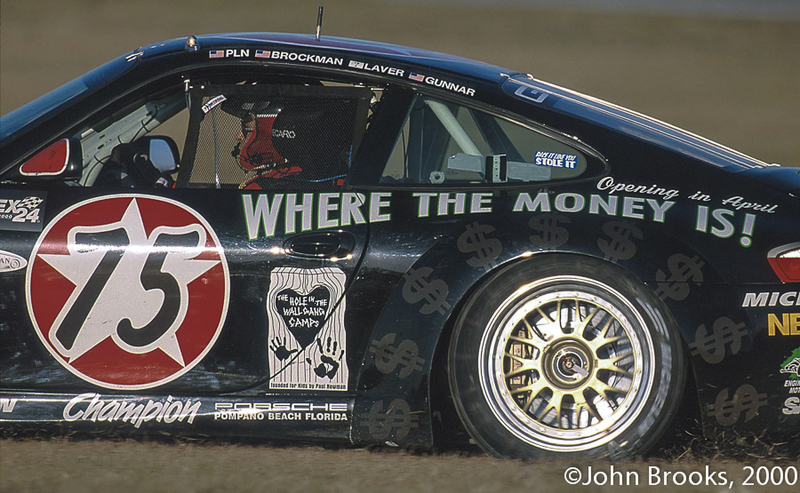 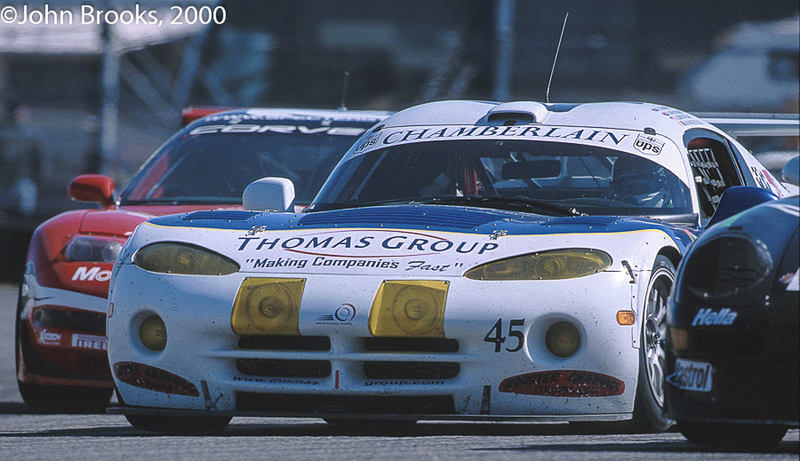 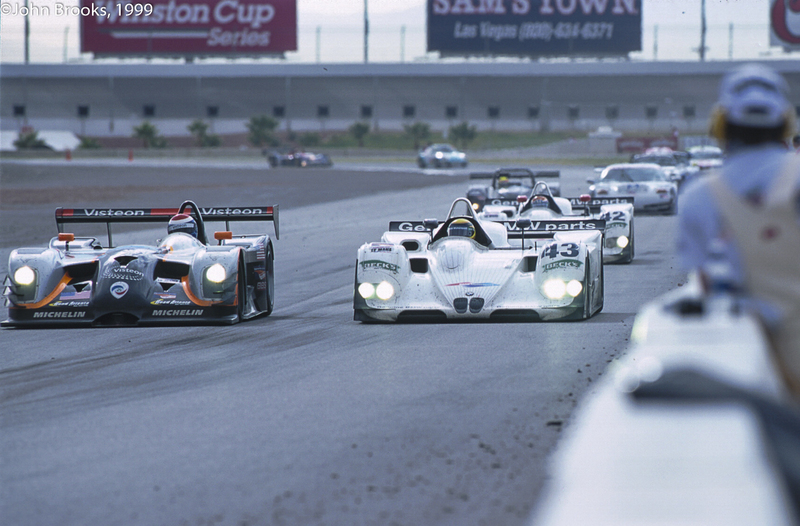 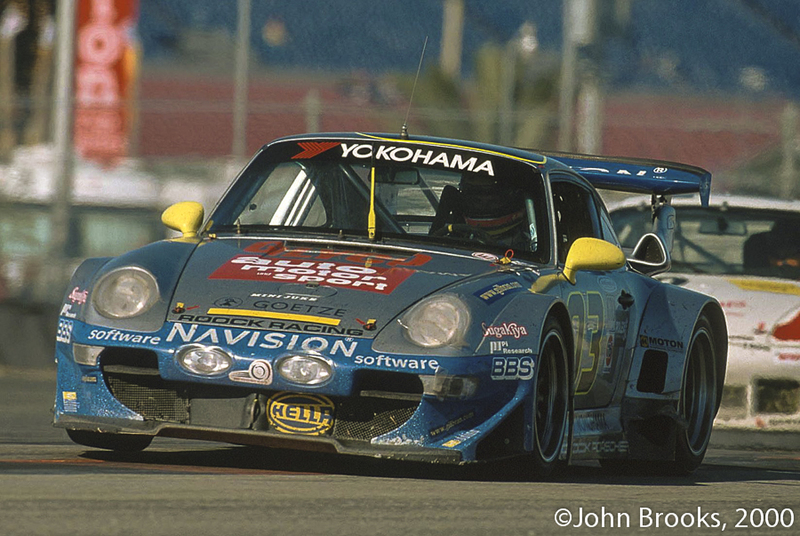 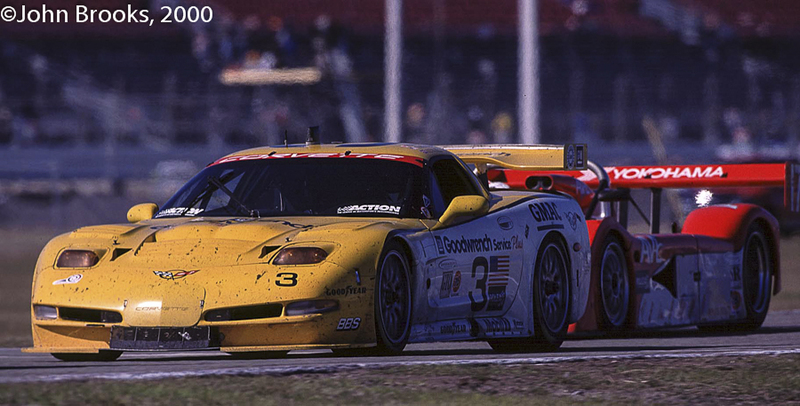 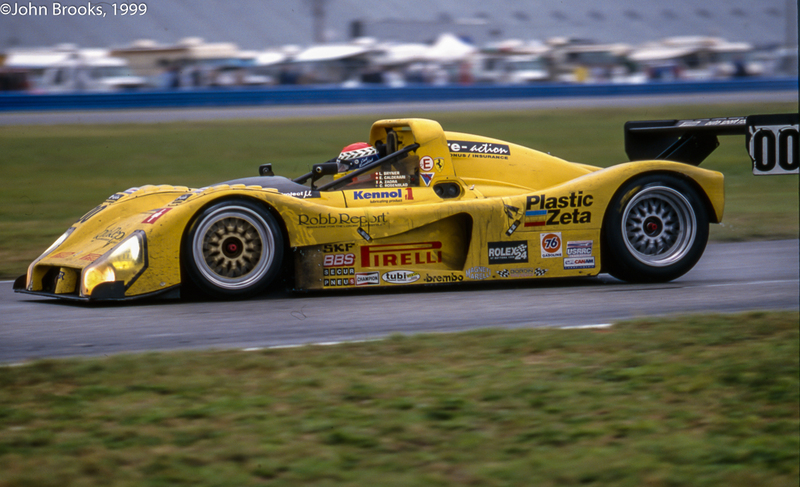 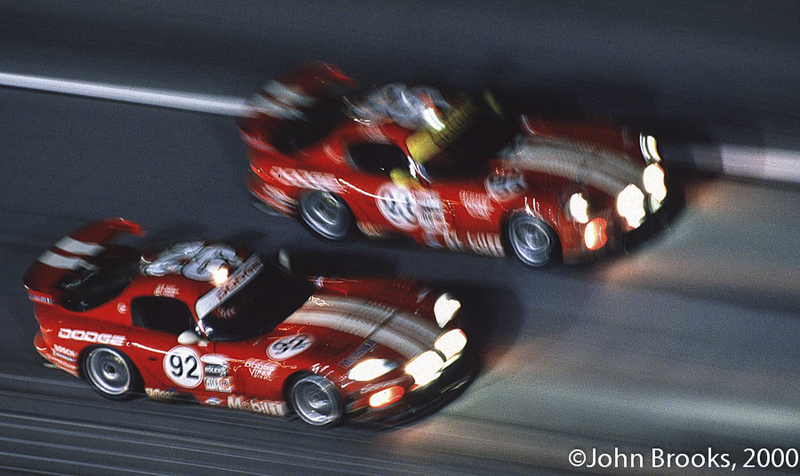 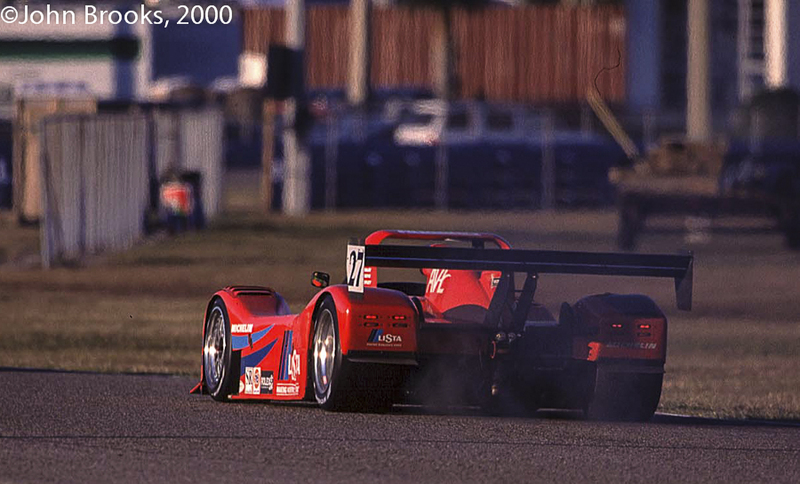 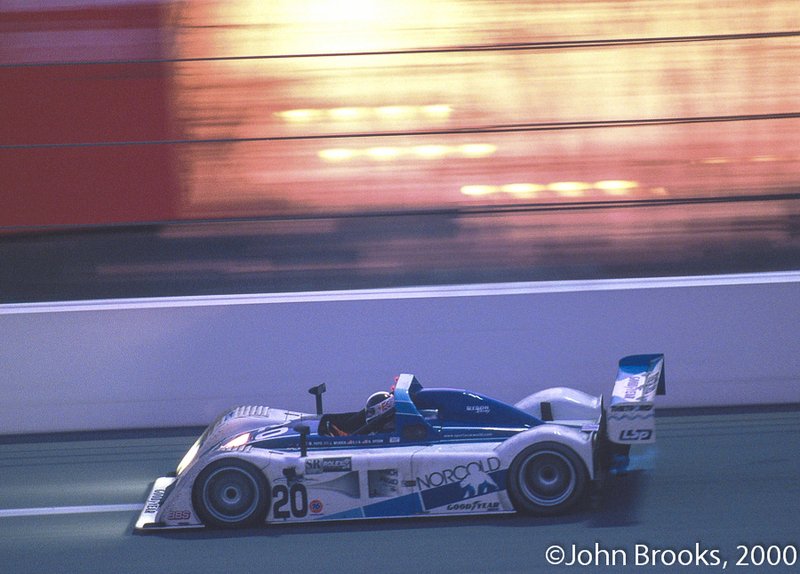 Trawling through the 1999 Sebring files I stumbled across this, Max Angelelli on fire in the Doyle Risi Racing Ferrari 333SP. 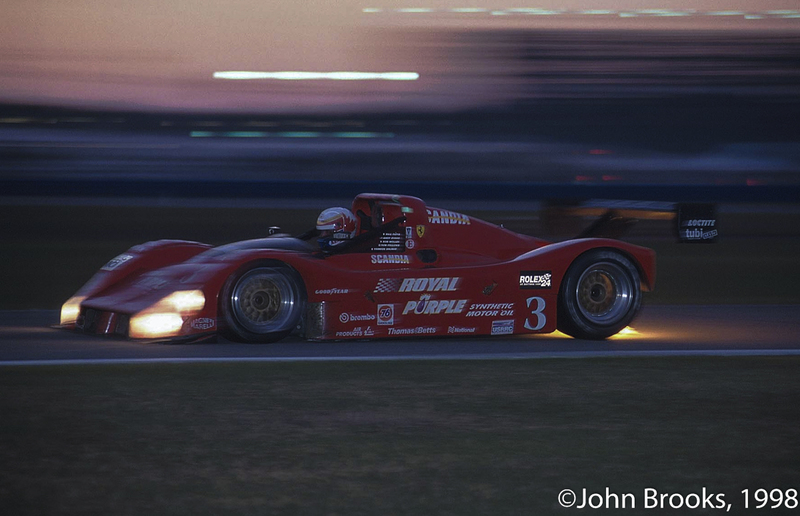 Unfortunately this hot display did not translate into actual success on track, the 333SP getting the dubious honour of posting the first retirement. 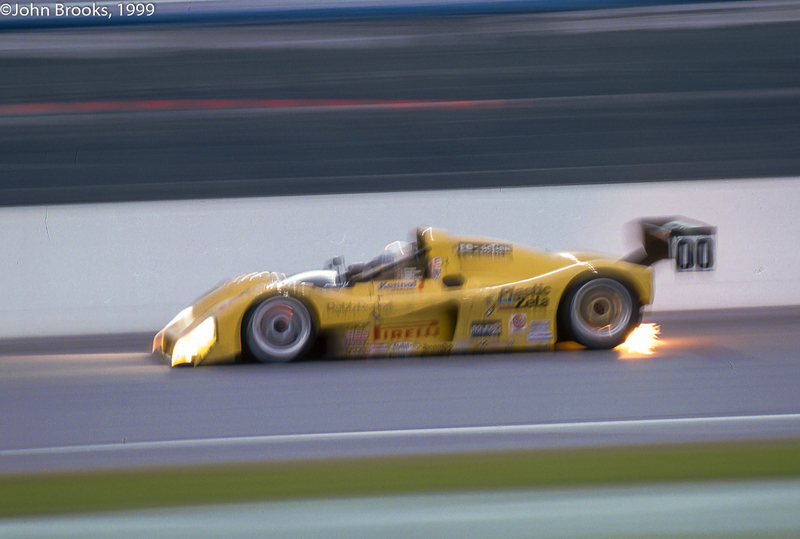 Engine failure the reason given, Icarus had flown too close to the heat? 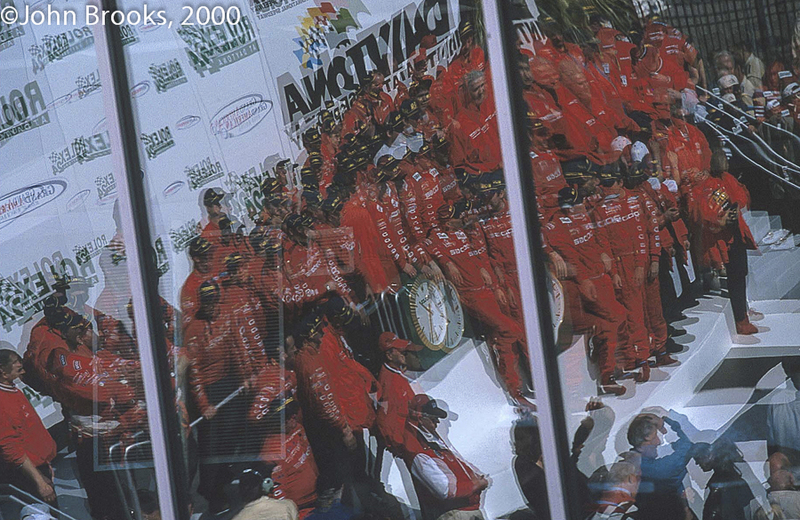 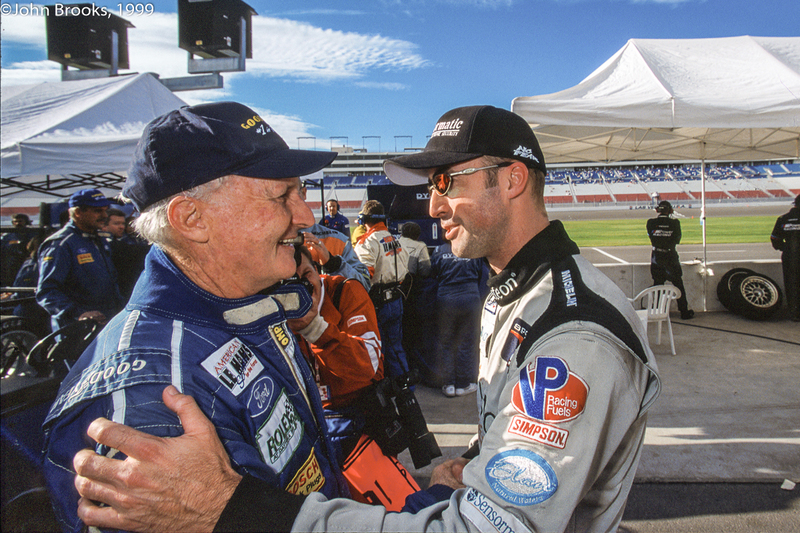 Speaking of Max being inflamed, he seemed pretty fired up at the post race conference last week in Daytona. 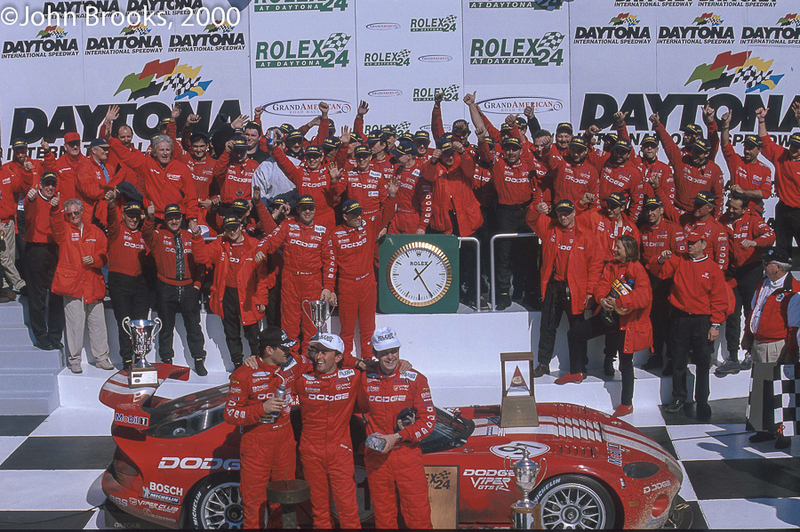 This performance confirmed what I had puzzled over earlier while watching the finishing stages of the Rolex on TV. 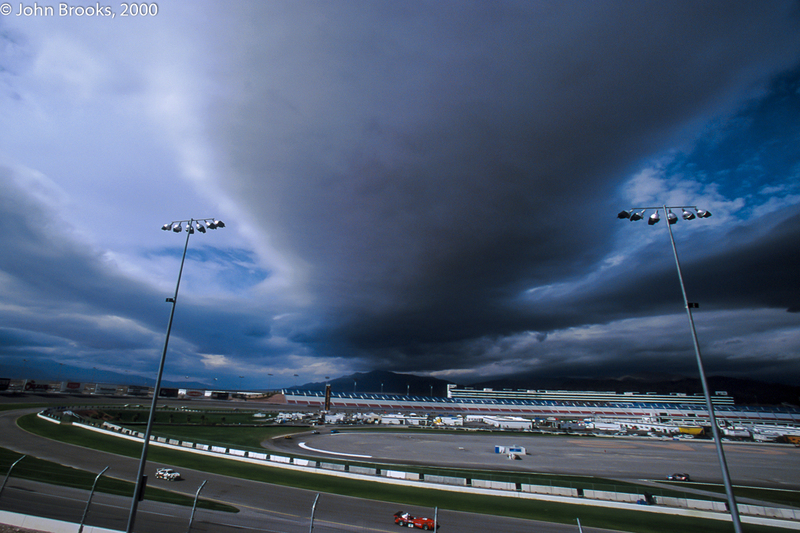 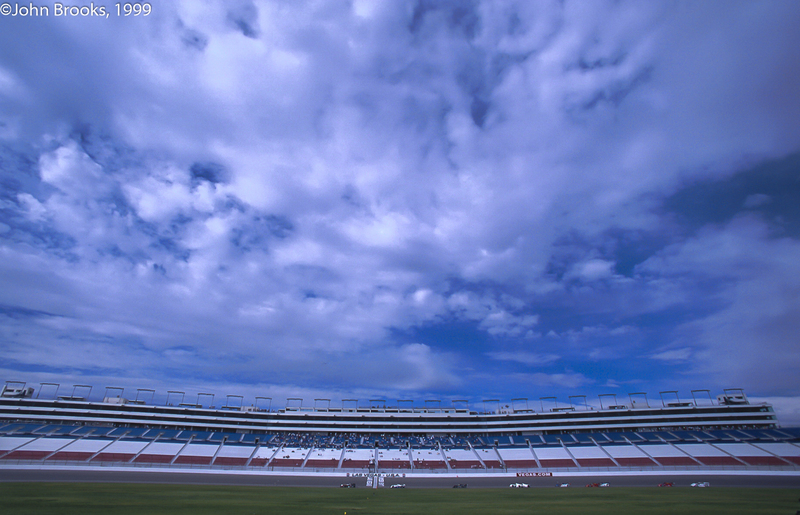 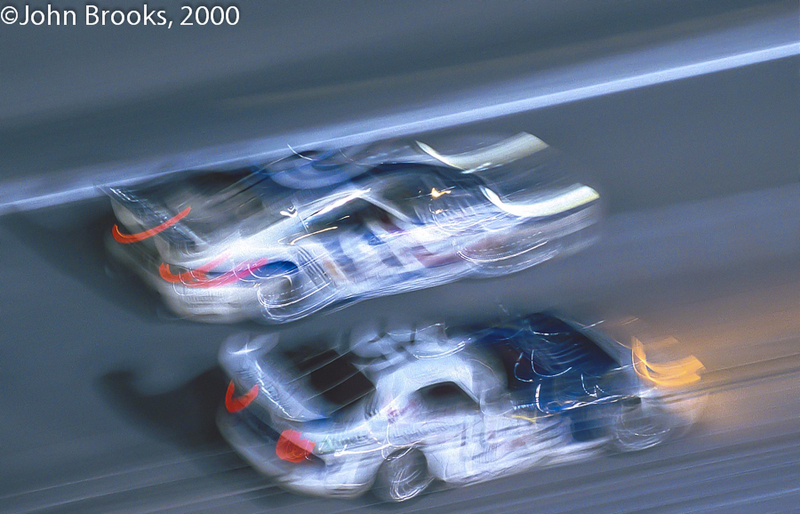 The Speed coverage kept repeating “Pass of the Day” showing the eventual winner blasting past Max in a straight line speed duel, the main skill required for this would be keeping a straight face. 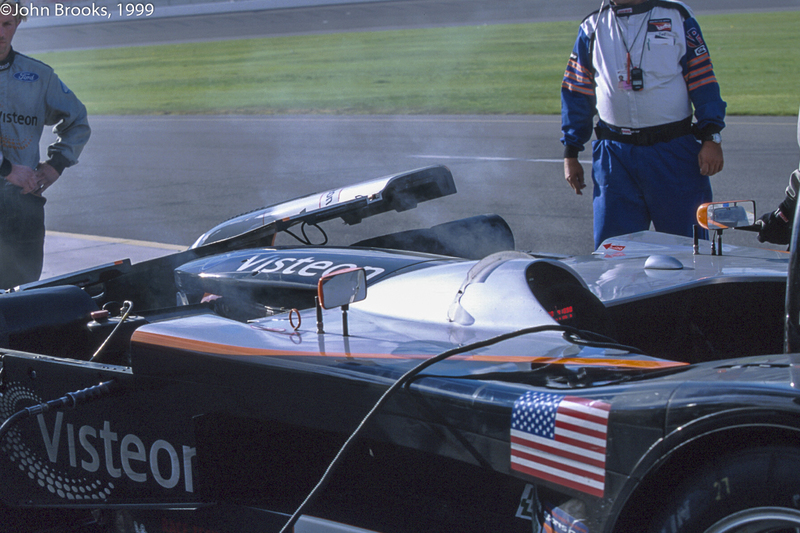 On cars that were subject to balance of performance adjustments this looked a bit fishy and no wonder Max was pissed. 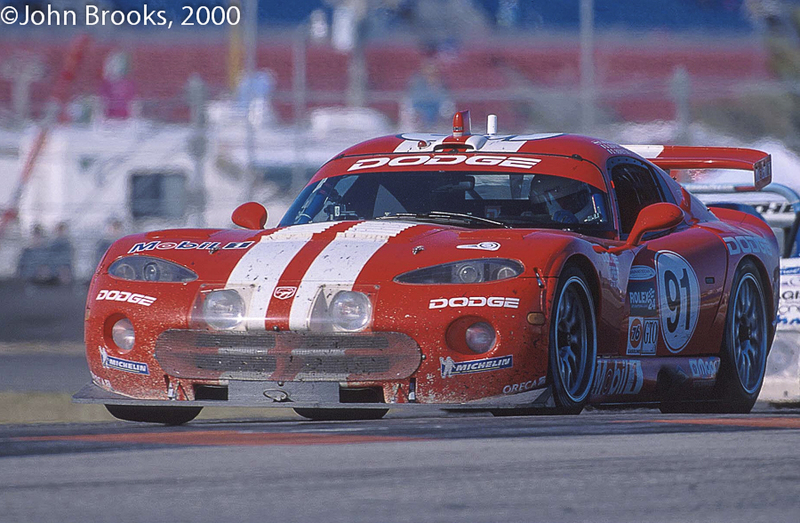 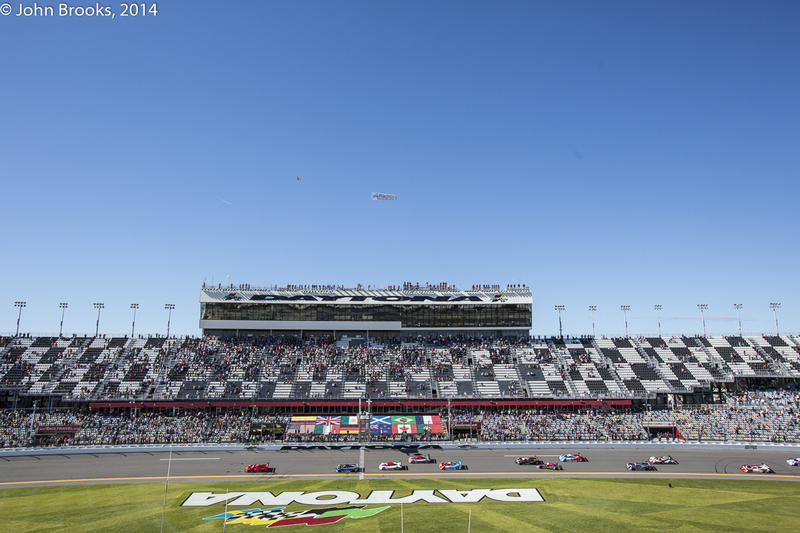 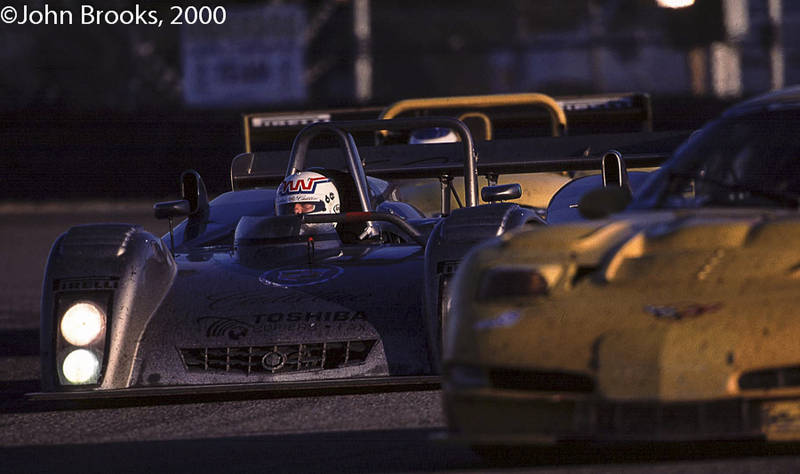 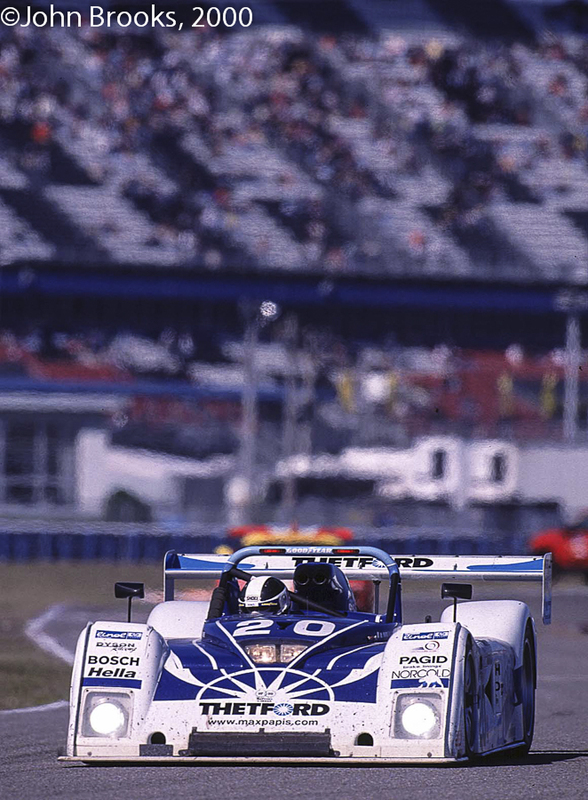 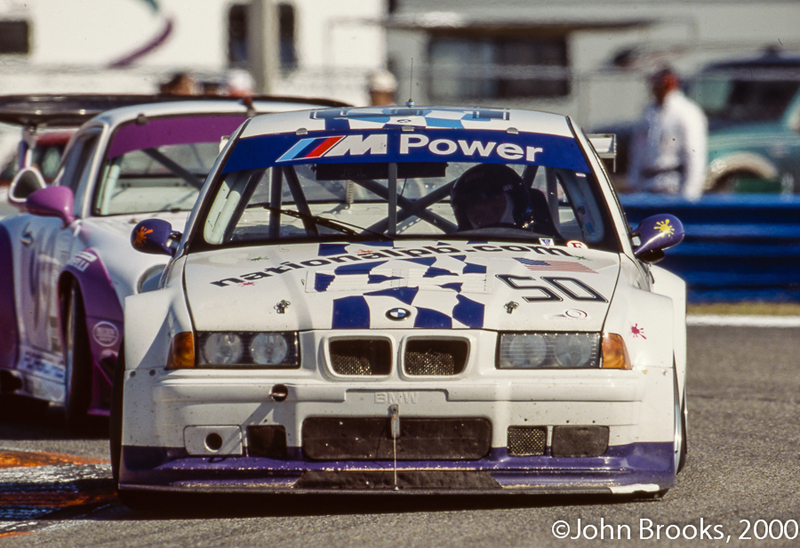 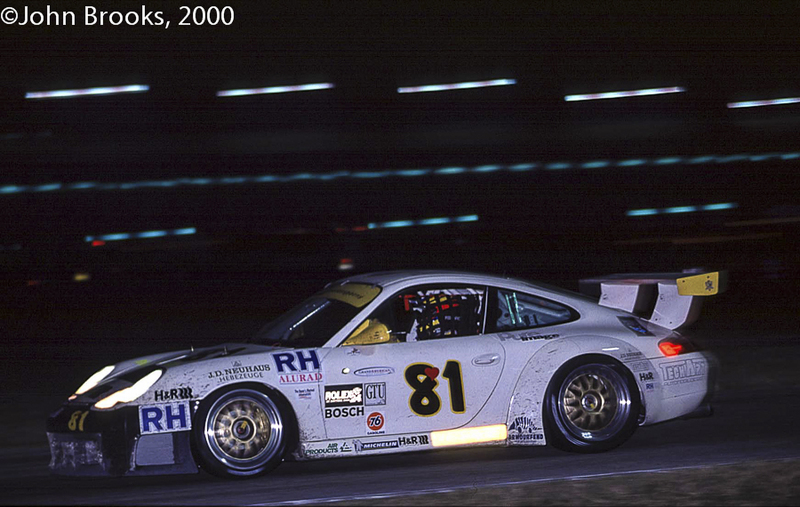 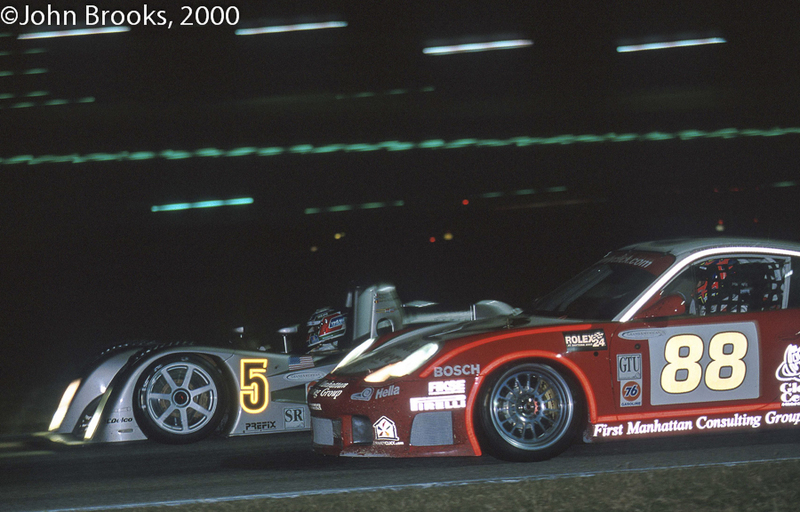 If, as I hear, some of the German giants are considering building Daytona Prototypes Mark Two, Grand-Am had better get this aspect sorted or be prepared for some serious grief. 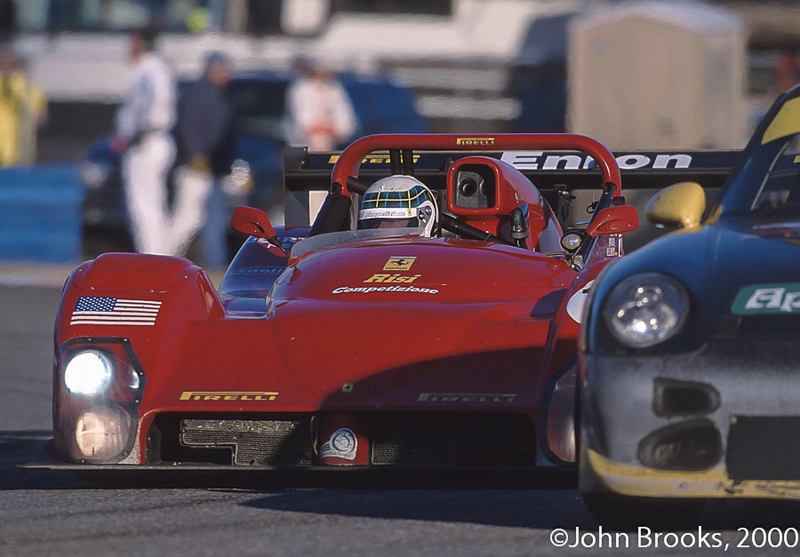 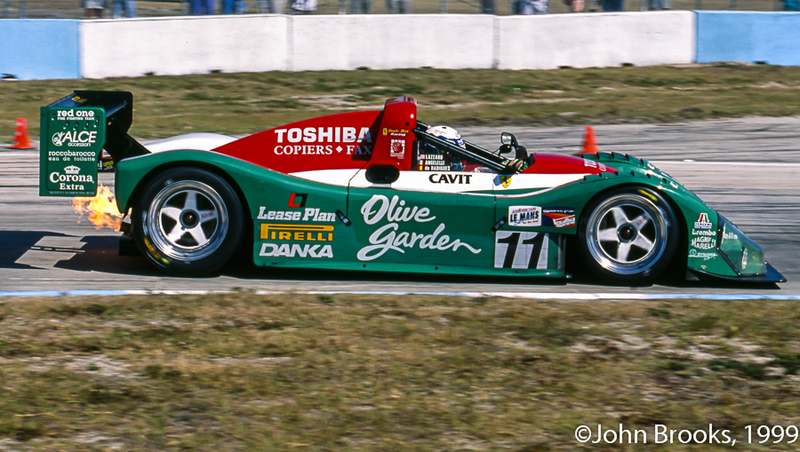 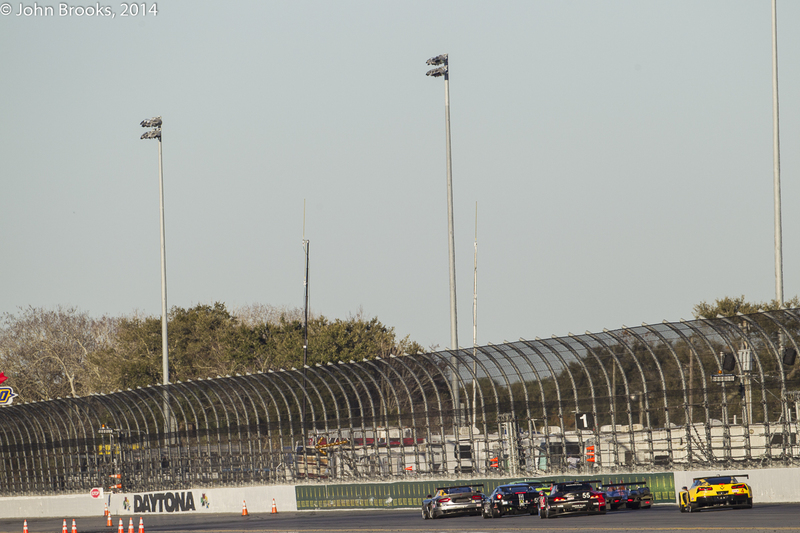 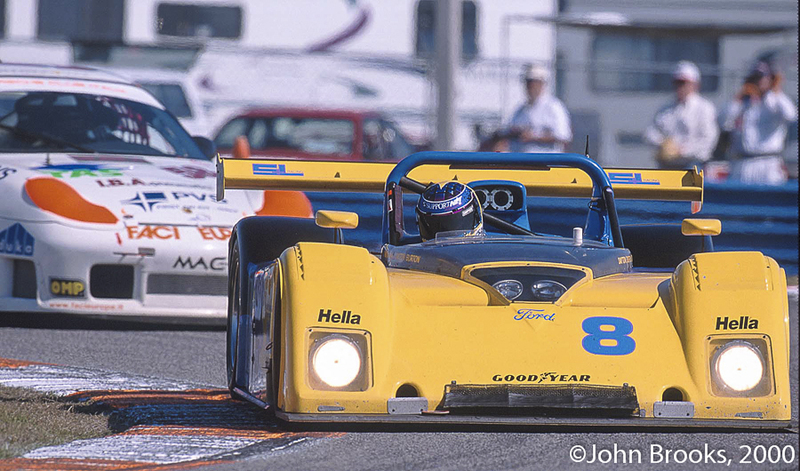 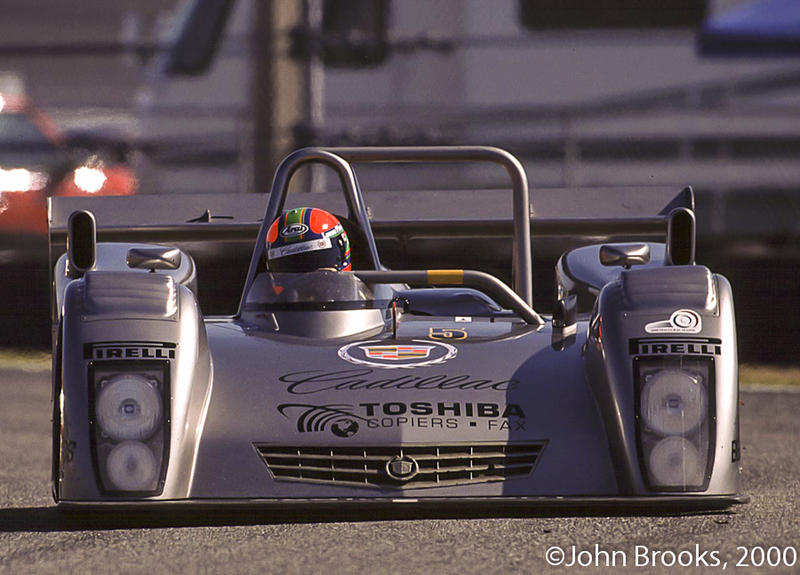 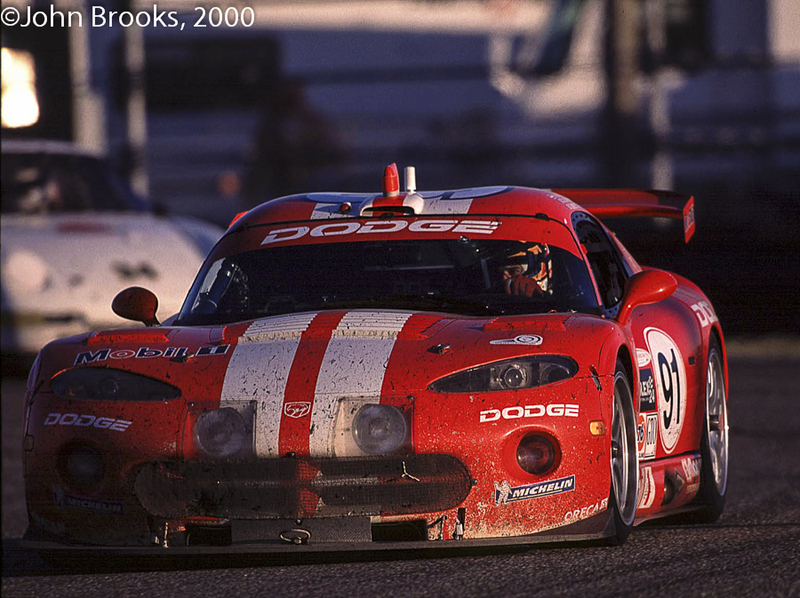 This entry was posted in Nostalgia, Notes from the Cellar, The Blink of An Eye and tagged Doyle Risi Racing, Ferrari 333SP, Max Angelelli, Sebring on February 1, 2013 by John Brooks.